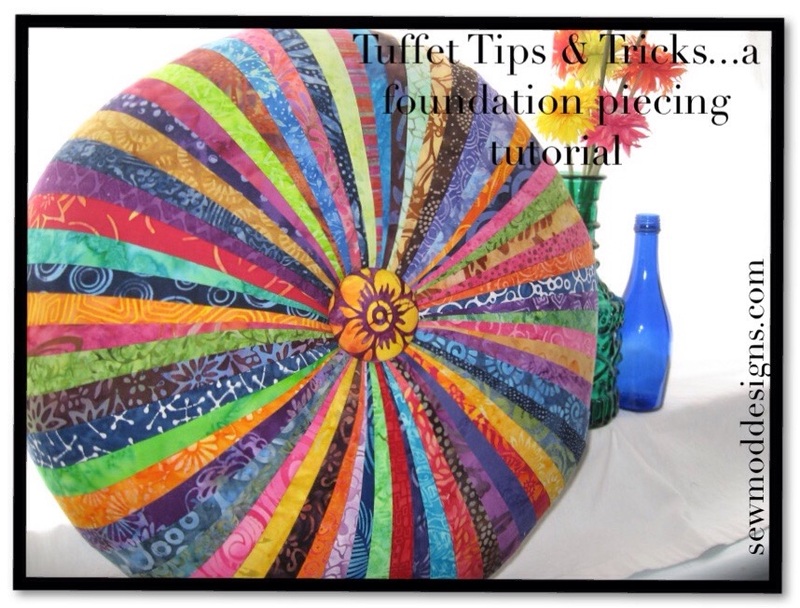 A quick way to add some dimension and decorative flair to your quilt is by adding a flange. 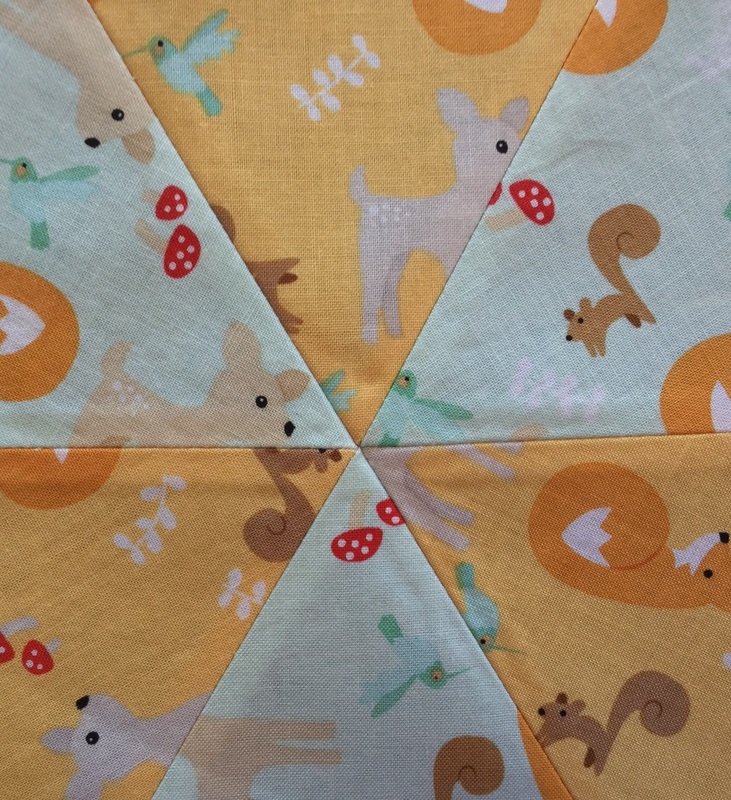 On the pattern, Backyard Baby, we add it as one of the ways to transition the borders from one to the other. 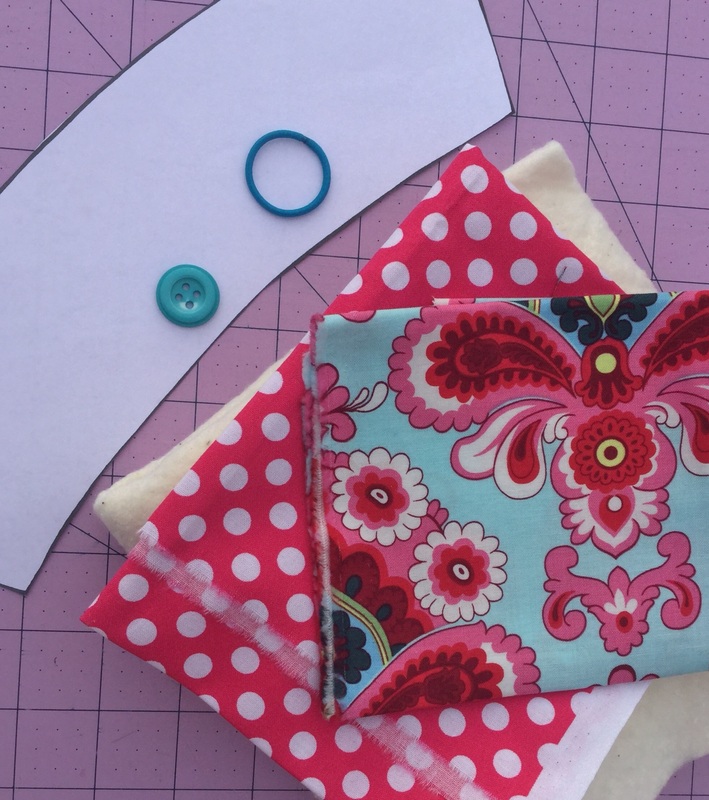 A flange can be used between borders or before you attach your binding. 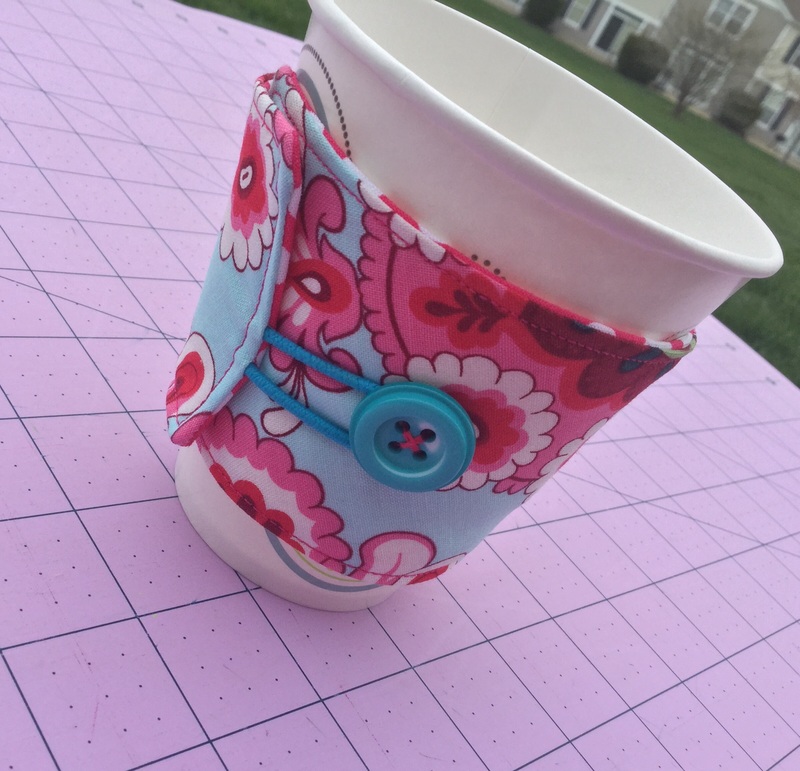 Using Backyard Baby as our pattern, I’m going to show you just how easy adding a flange is! 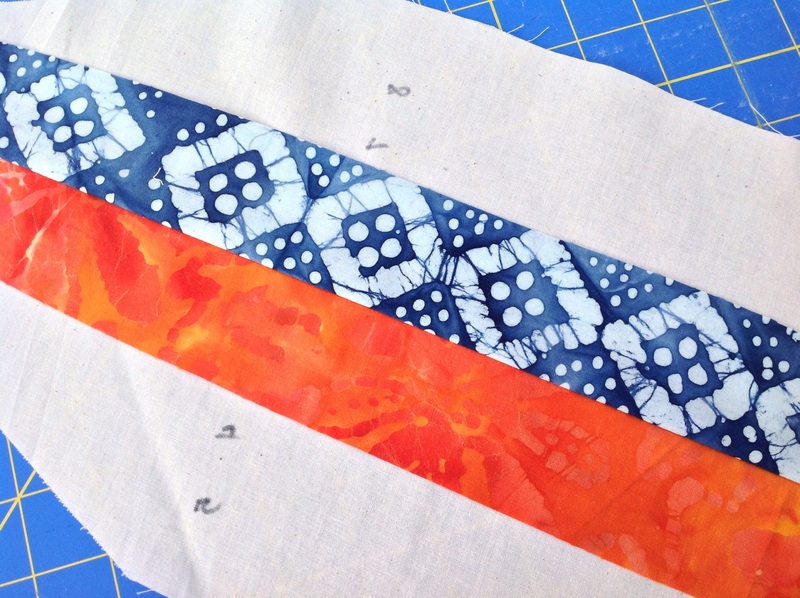 Cut (3) 1″ strips WOF. 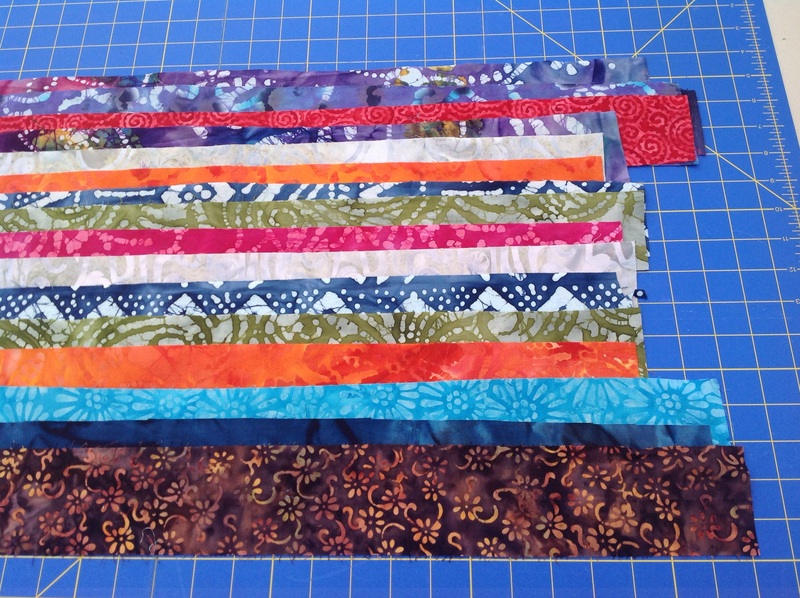 Connect all 3 strips on the diagonal…just like you would when you prepare a binding. 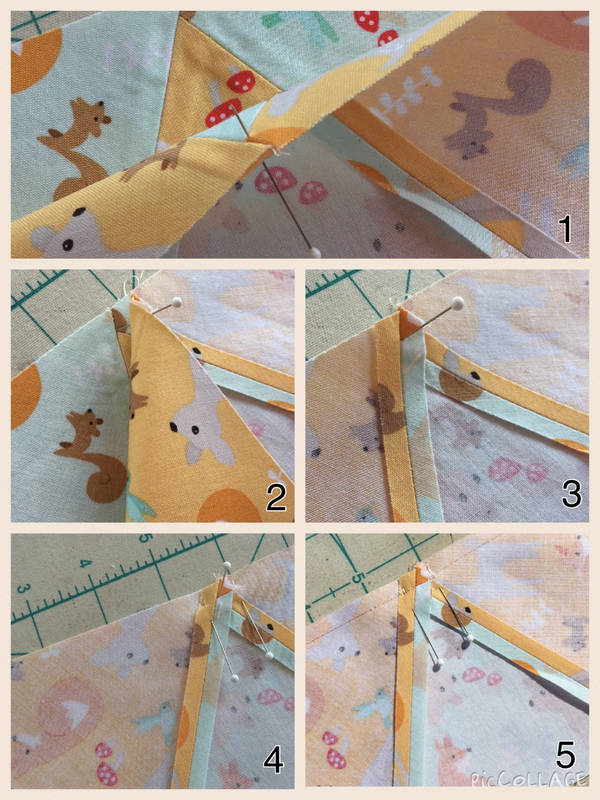 Trim the seam to 1/4″ and press open. Press your flange wrong sides together lengthwise. 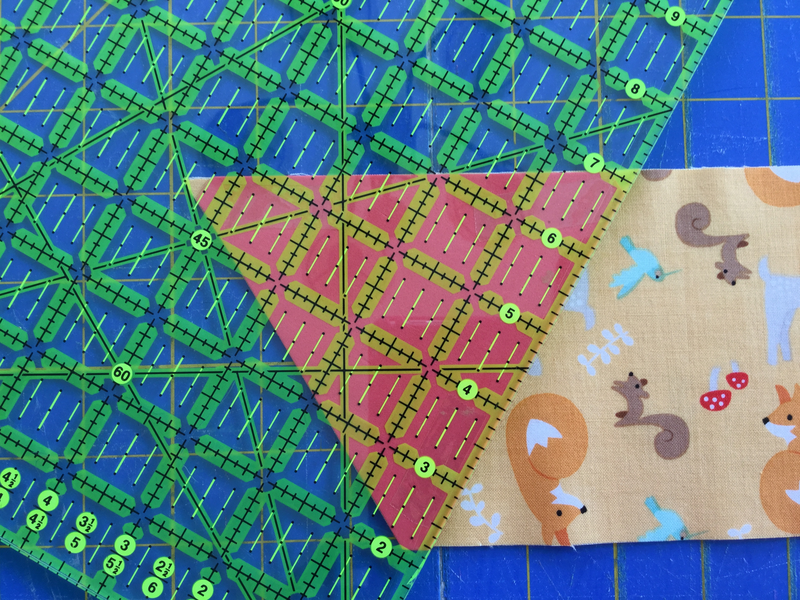 Starting on one side of the quilt, place raw edges together and lay the folded edge of your flange facing in towards the quilt. At this point we’re basically going to baste the flange to the quilt. 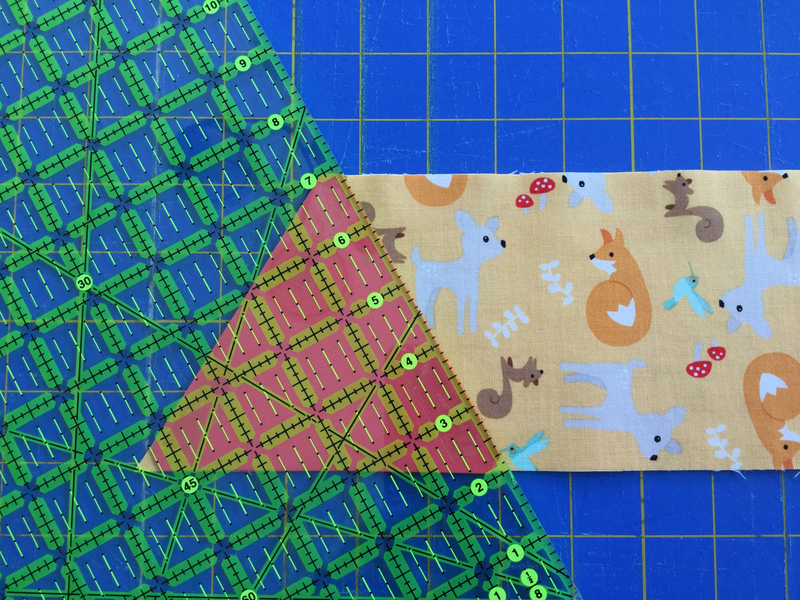 I use a normal stitch length and about an 1/8″ seam allowance. 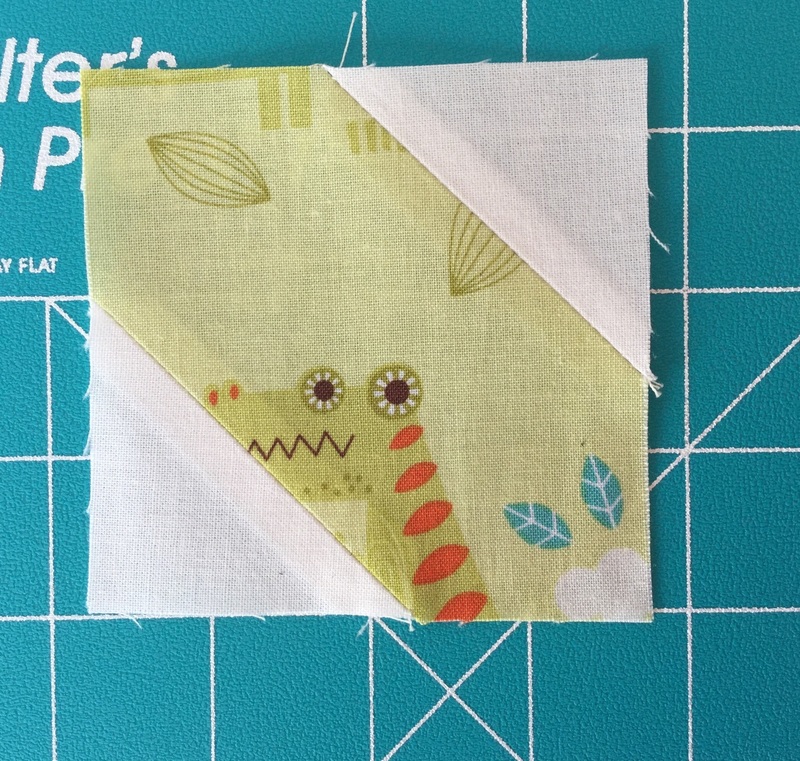 When you come to the end of the first side of the quilt, stop and trim the flange even with the bottom. 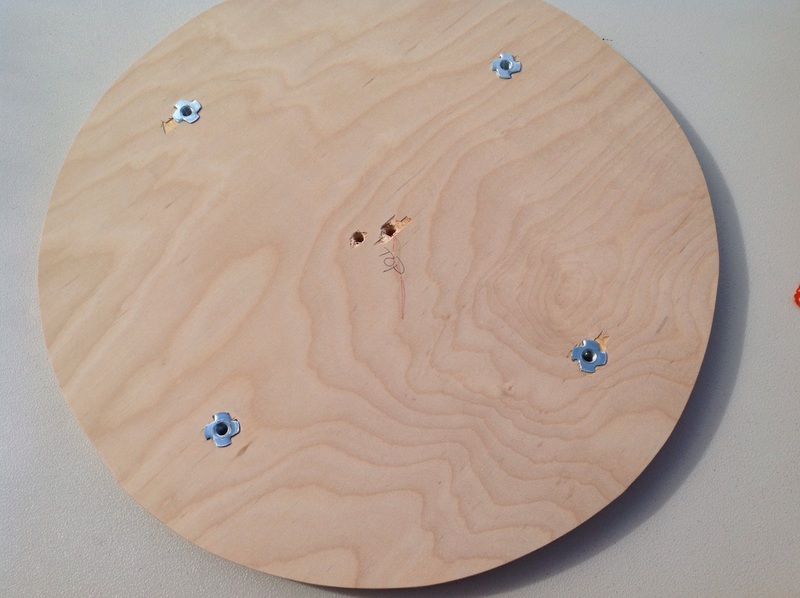 You’ll notice that I did not cut and measure my flange according to the length of each side, but instead left all three lengths a continuous piece and trimmed as I went. 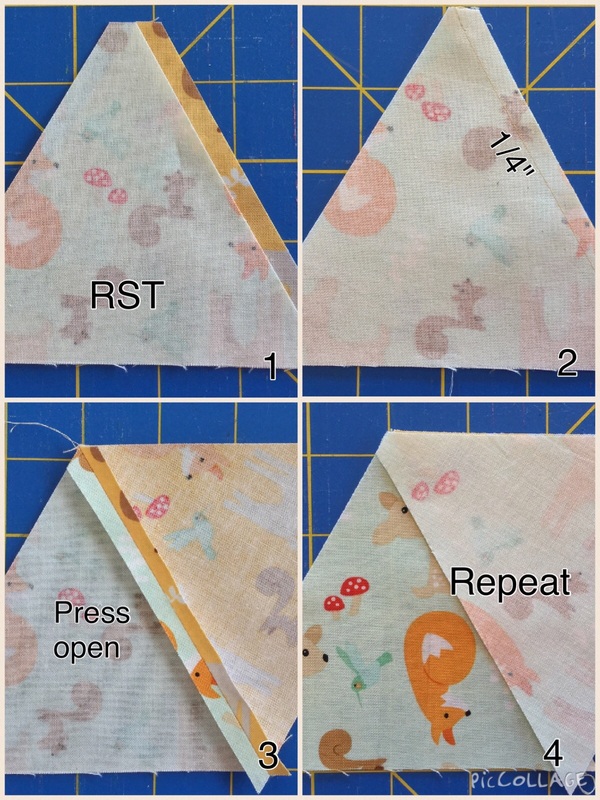 Since Backyard Baby is a small quilt, I feel the risk of stretching it out of proportion is minimal…and I’m a wee bit lazy… But if you feel you’d rather cut the specific flange lengths, then you would first cut (4) 27-1/2″ pieces and proceed with the following steps. 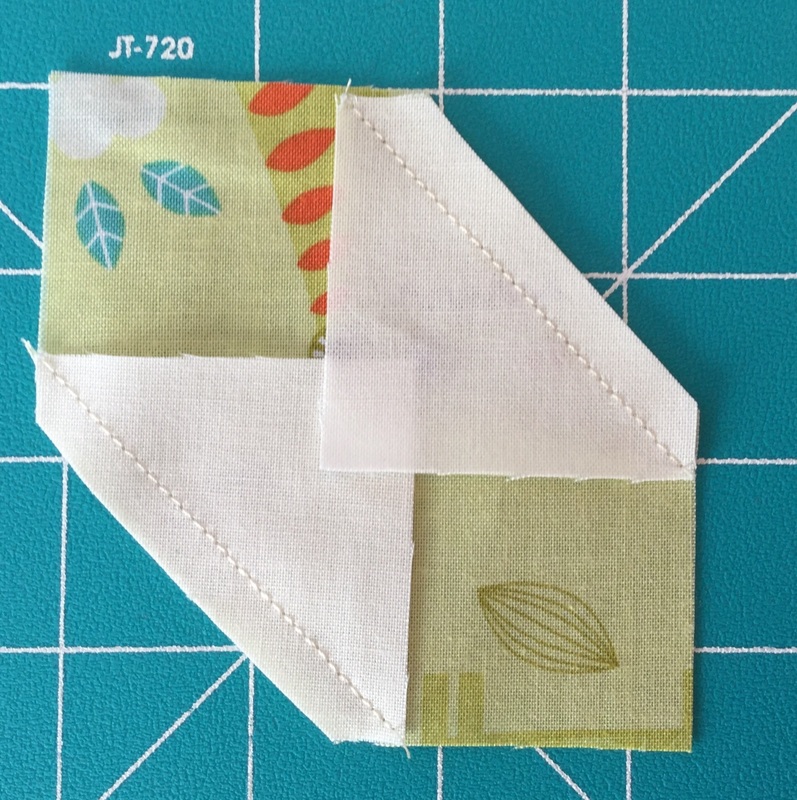 If you are adding a flange to a larger quilt or the binding on a different quilt, please measure your sides and pre-cut your flange accordingly to ensure that you do not stretch your sides. 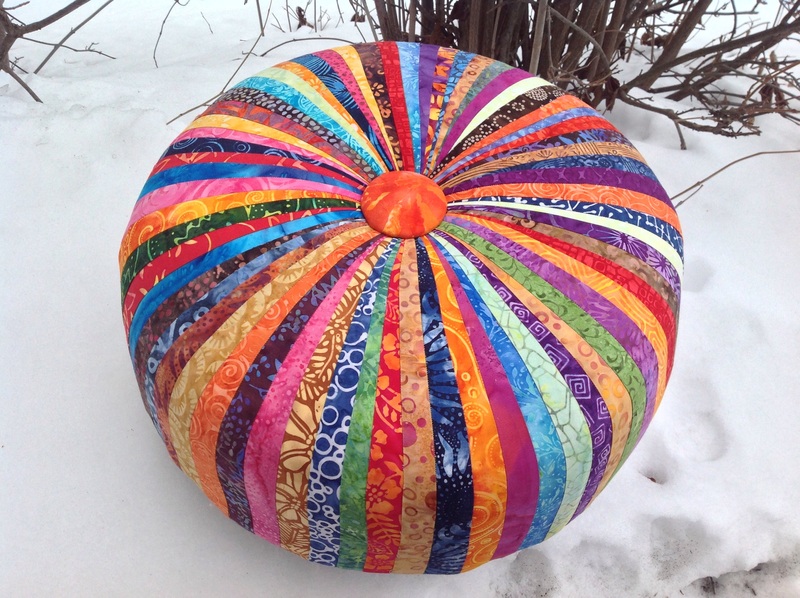 This will keep your quilt ‘squared up’. Turn the quilt to work on the next side. Place your flange right on top of the first flange, and continue basting this side until you reach the bottom, and trim again. 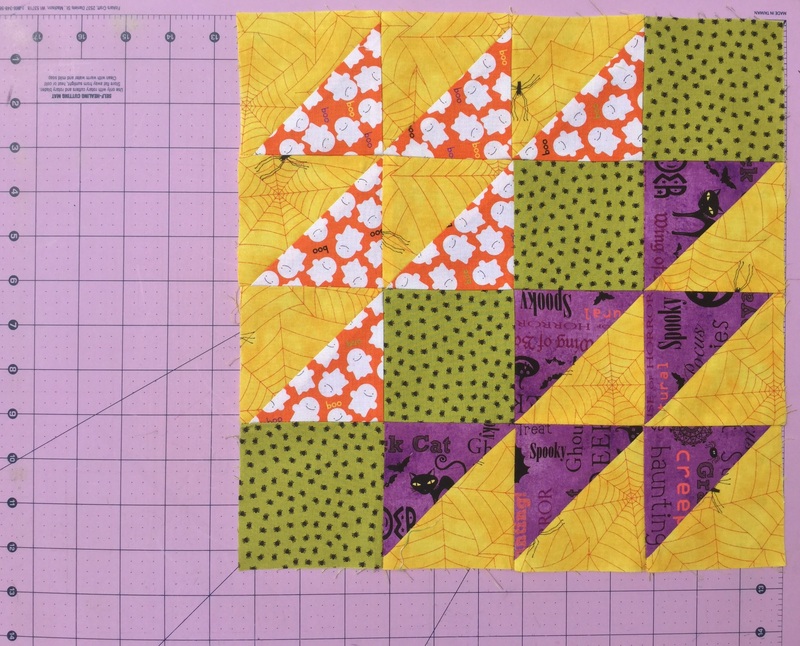 Repeat for all four sides of your quilt. …the Enderman. 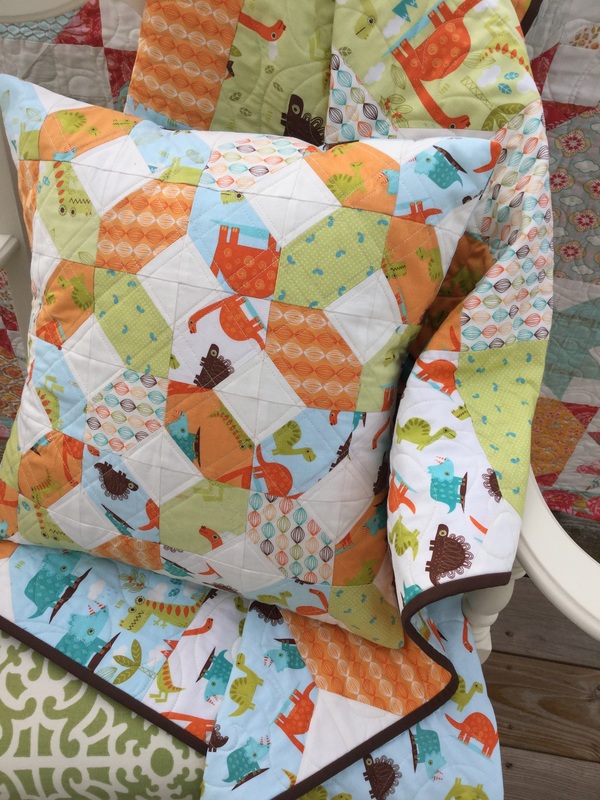 The MineCraft Quilt Kits have been so popular and many of you have asked for different versions and sizes. So let’s start with the Enderman shall we? 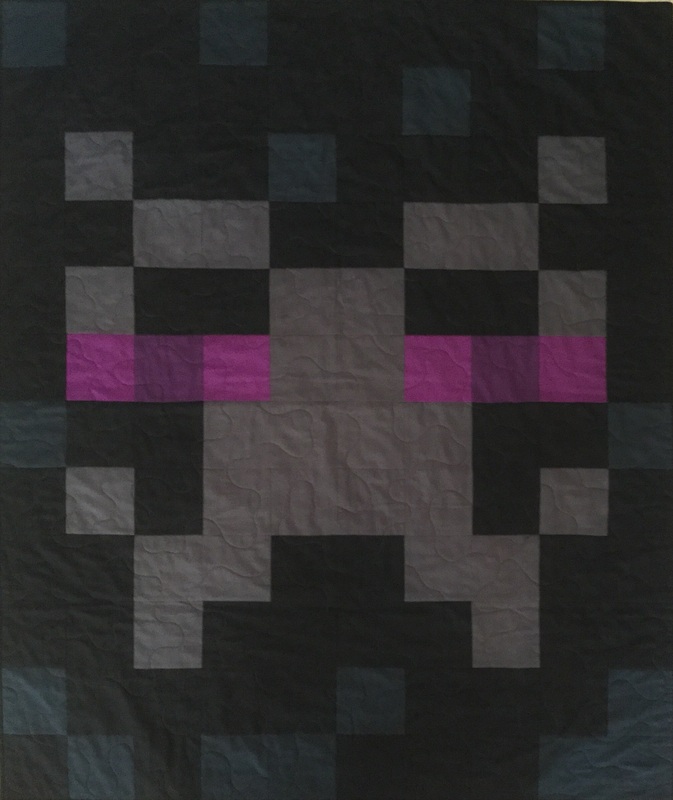 The Enderman is available in two sizes just like the Creeper, a small throw (45″x54″), which is perfect for the game room, a wall hanging, or your bitty one, and the twin/full (54″x72″), which is perfect for their bed. Here’s a quick how-to on the Enderman layout and the fabric requirements. Each letter is a 5″ square unfinished. Lay your quilt out, depending on which size/setting, and refer to the photo. Each Kona color has a letter representing the placement. 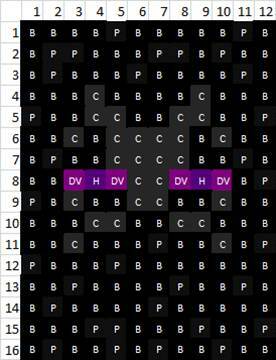 For example, B=Black, P=Pepper, etc. 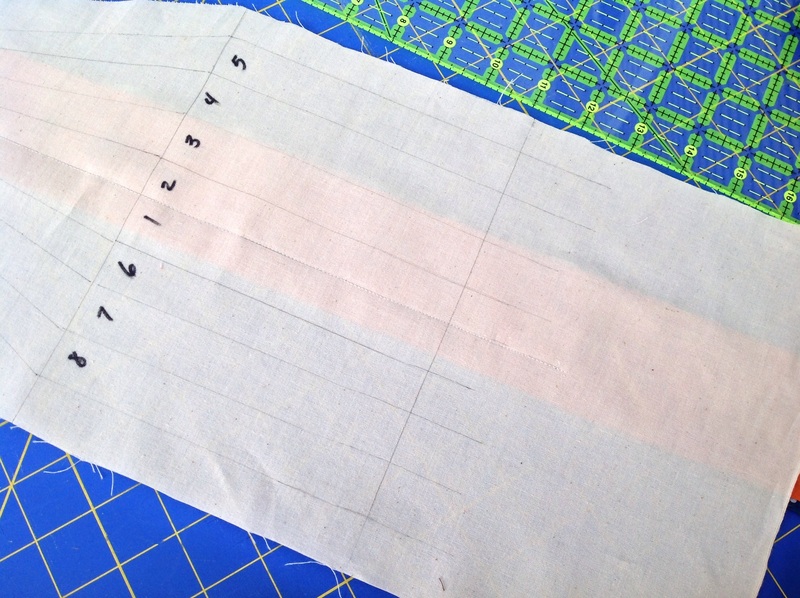 Use the remaining black fabric to cut your 2.5″ binding strips. 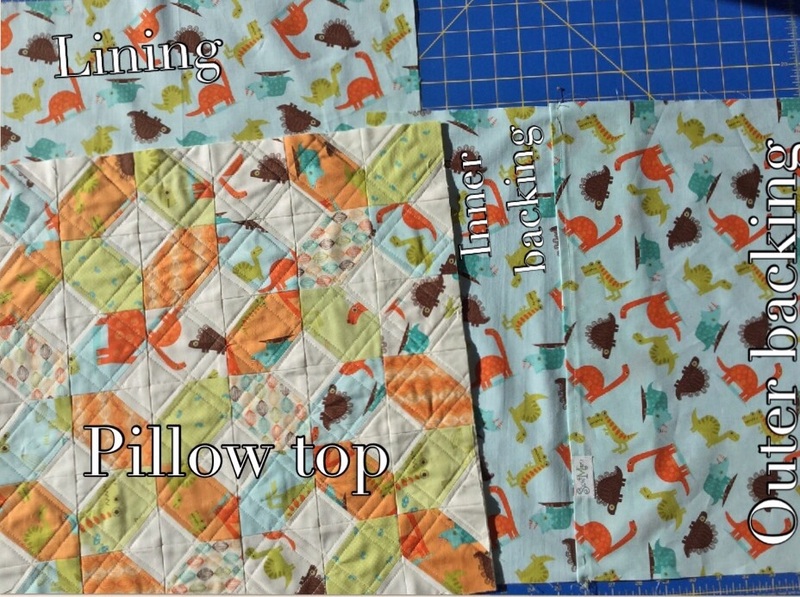 For more info on cutting and assembly for the MineCraft quilts, click on the tutorial found here. ***UPDATE 12/20/16 All Enderman kits are sold out from this page. Please visit the Etsy shop if you are interested in purchasing a kit. Thanks! The Enderman kits are also available to purchase. 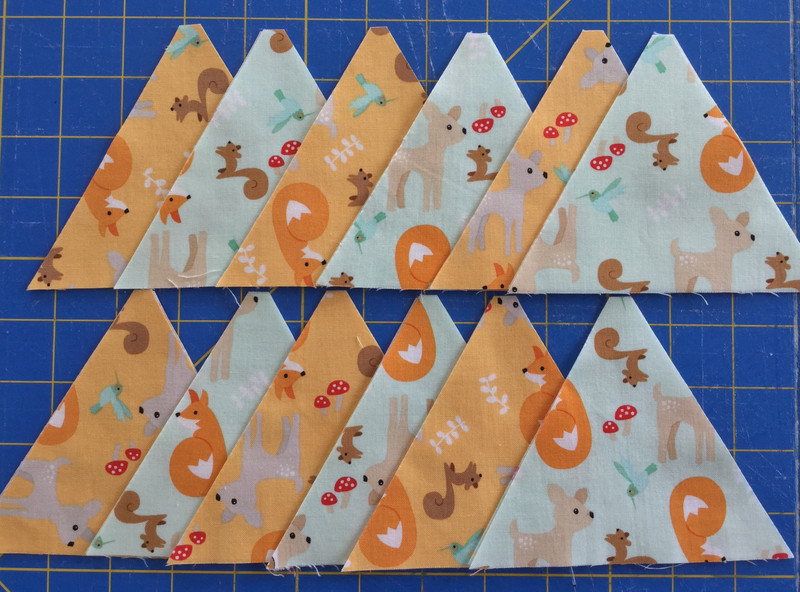 The kit links are below.. Each kit comes with a tutorial, fabric for the top, binding and choice of backing. Batting NOT included. Please choose which backing you’d like in the notes section when you checkout with PayPal or convo me. KIT SHIPMENT: Once again, if you are an international customer, please convo me as shipping rates are different for each country. International shipping rates are set by the USPS and KITS are mailed in a flat rate mailer. 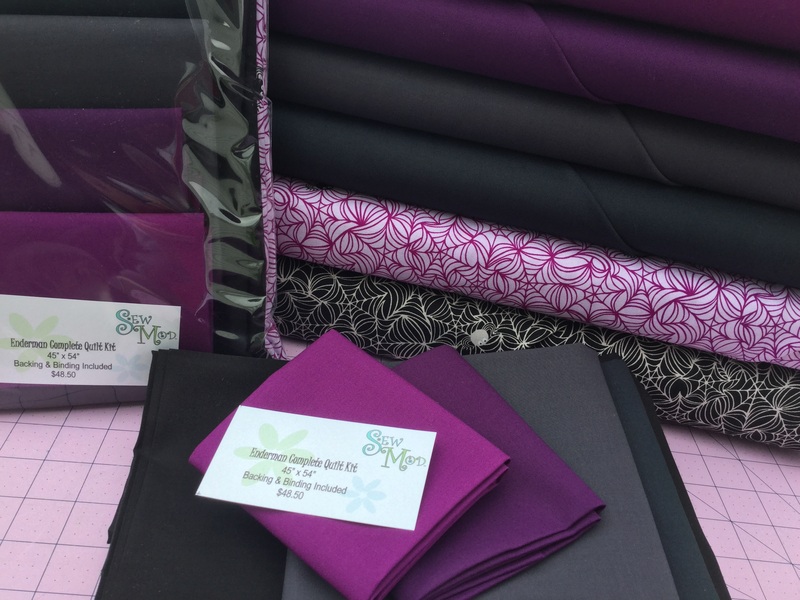 SewMod does not charge our customers for any ‘handling fees’. A separate PayPal invoice will be made available to you after you convo me with the package destination. I’m happy to help! Thanks. 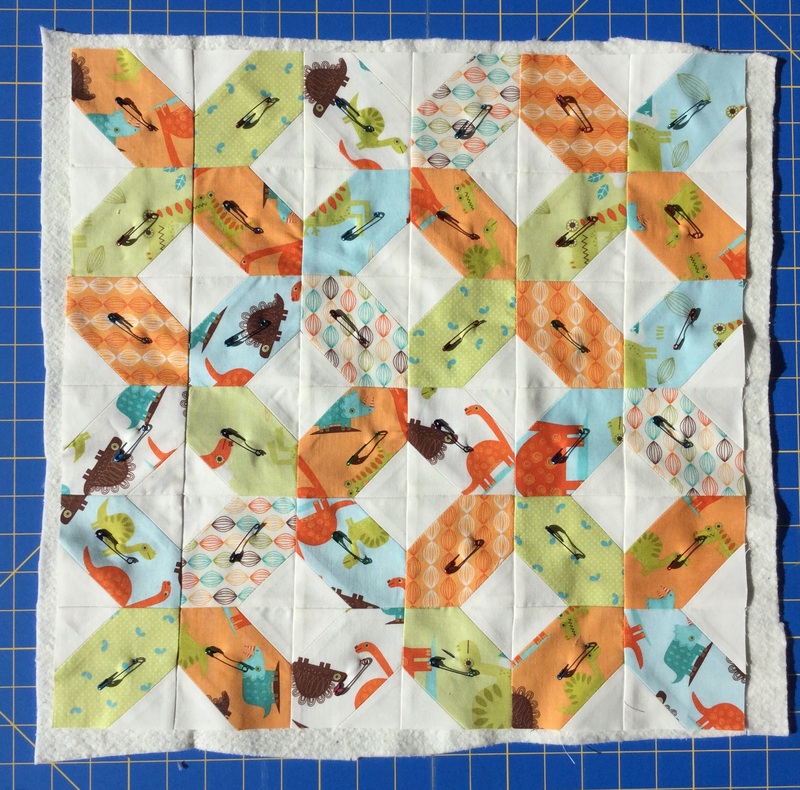 If you’d like to purchase an Enderman quilt KIT in the THROW (45″x54″) size, click on the PayPal button below. The throw is $48.50 plus shipping. 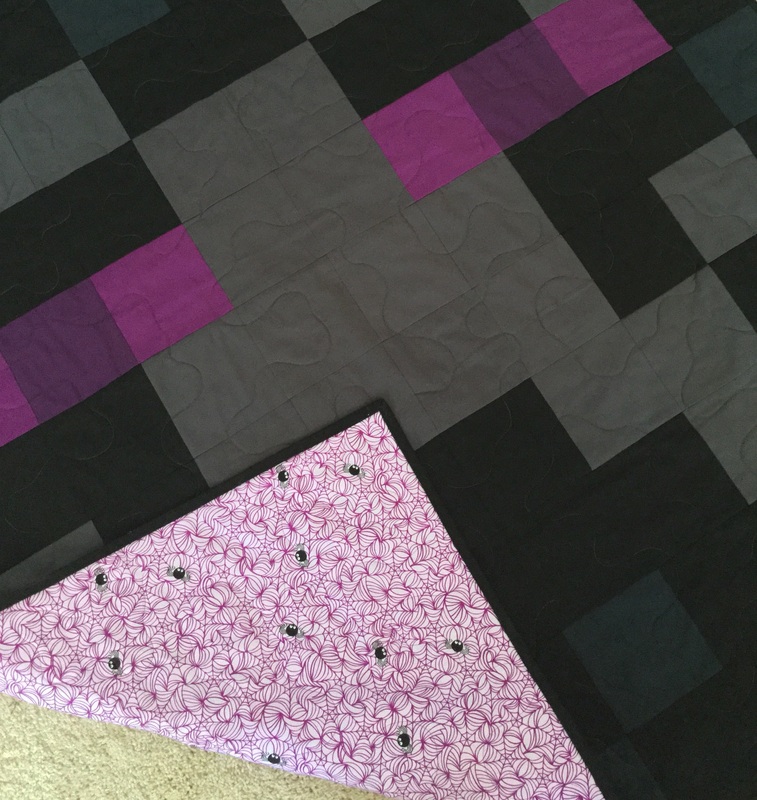 If you’d like to purchase an Enderman quilt KIT in the twin/full (54″x72″) size, click on the PayPal button below. The Twin/full is 68.50 plus shipping. If you’d like to purchase a Creeper KIT in either size, please click HERE. I’ve been swapping for about 4 years now through various social media sites and within our local sewing group and guild. 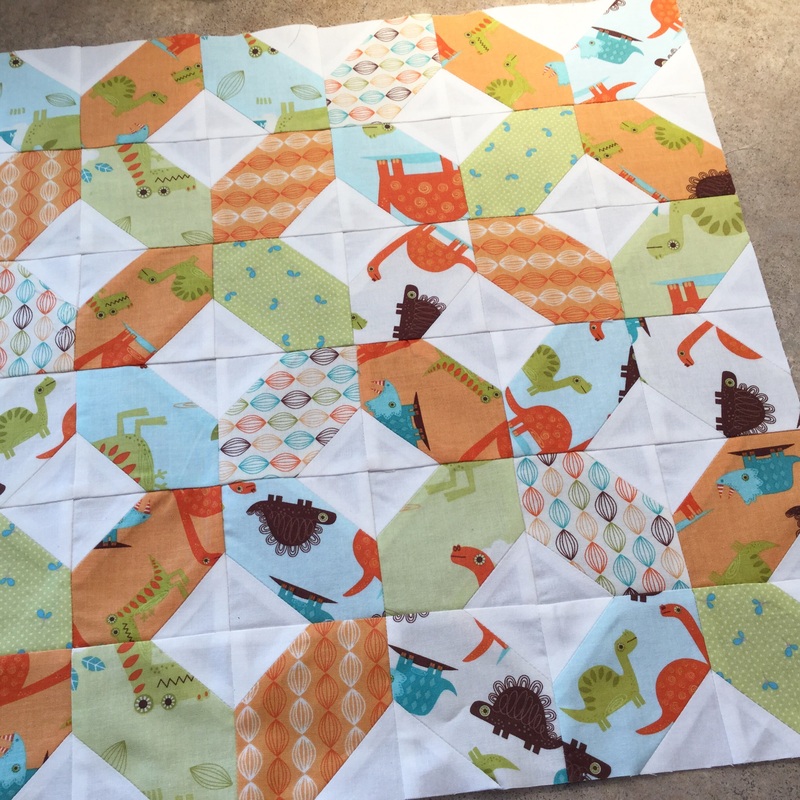 Different types of swaps may include specific blocks, sizes & color combos. Handmade items such as pincushions and zippy bags. Some have strict rules that must be adhered to and some only have a theme to follow, such as butterflies, in which anything can be swapped as long as it has a butterfly. 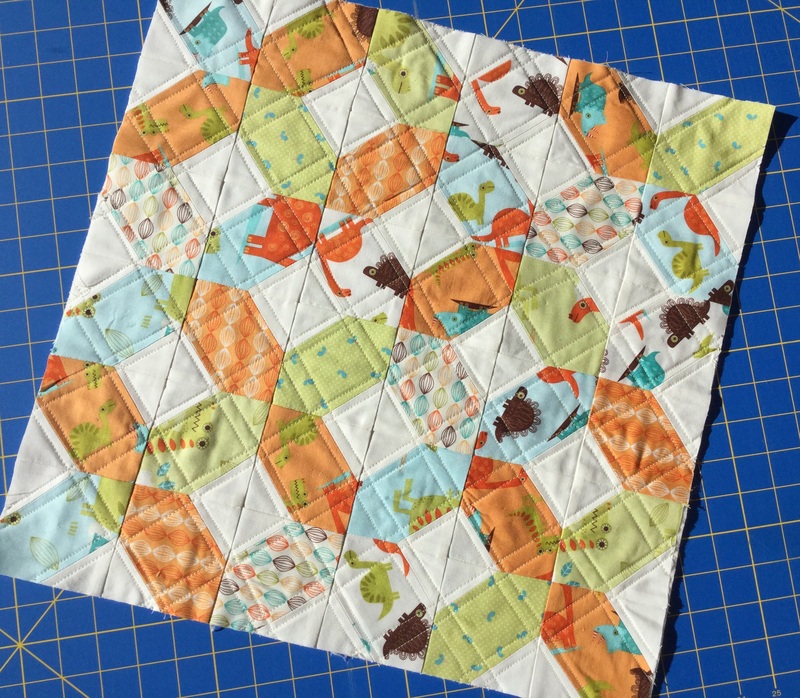 Overall, I find this quilting activity rewarding and enjoyable and I’ve made many online friends doing it. I have had a few swaps that have proven to be challenging. For example, the color scheme is ‘off’ or the blocks I receive may be shy of the dimension requirements, but this never stops me from saying…”yes” to the next one! Today I’m going to share with you a few tips, mainly focusing on block swaps, to help make your next swap successful for you and your partners. 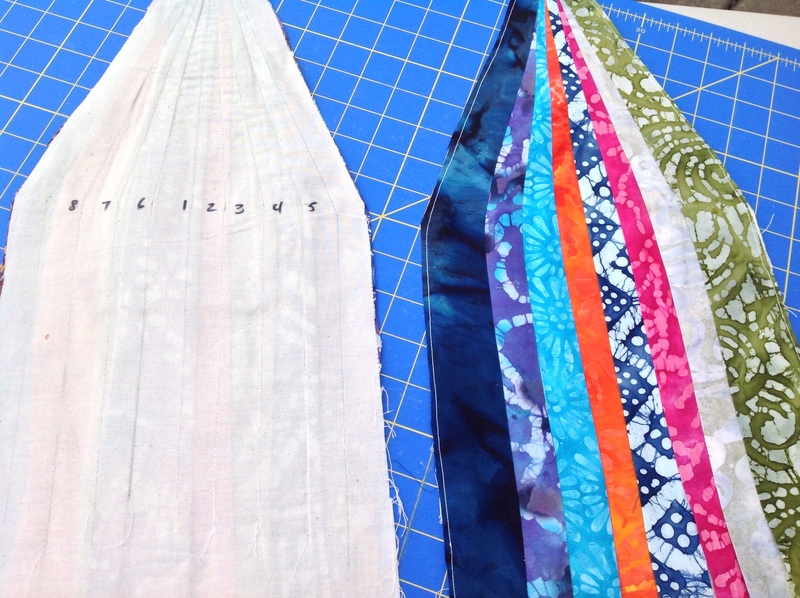 Use quilt store quality fabrics for your swaps. 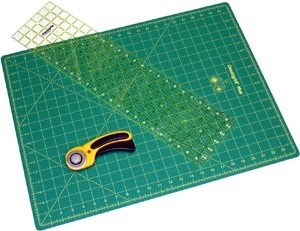 Use precise cutting. This is where it all starts. Accurate cutting will help ensure the desired block size. 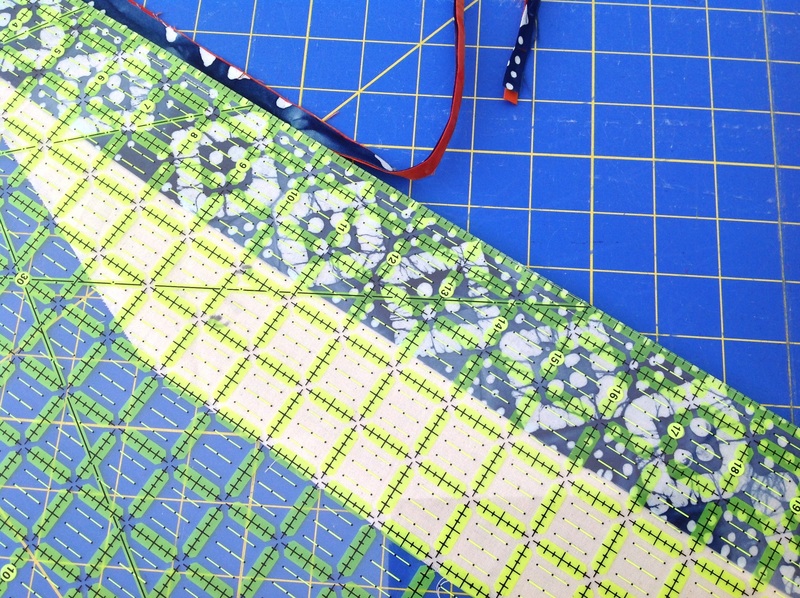 Here’s a quick refresher on Craftsy for tips on using your rotary cutter and mat. Double check your seam allowance. 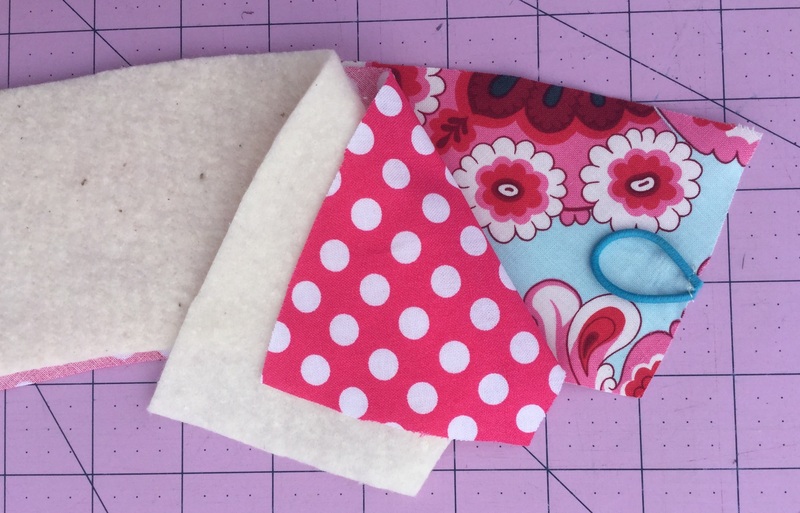 A 1/4″ seam allowance is typically required for quilting. 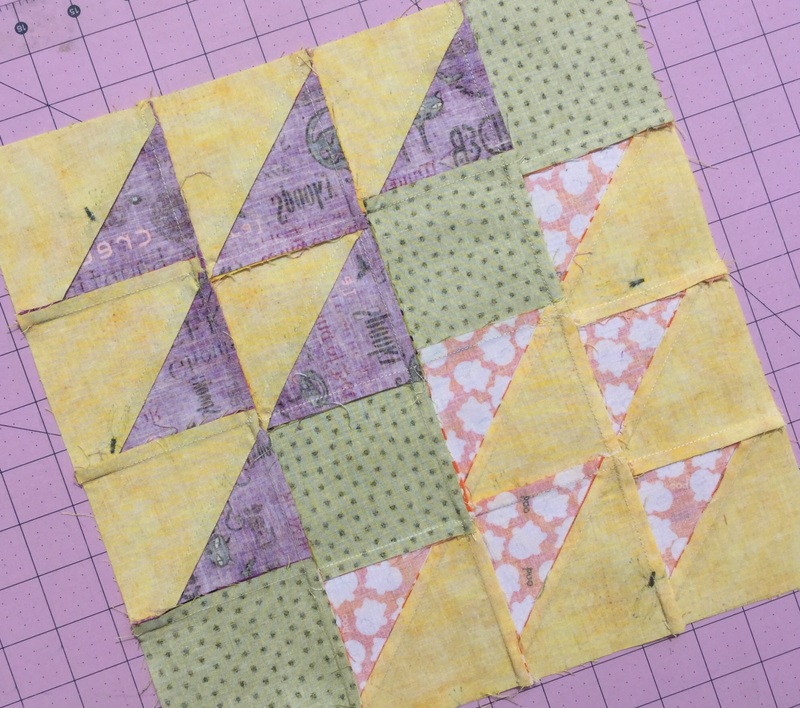 If your 1/4″ is off, your block will not finish the correct size. Invest in a 1/4″ foot for your machine. 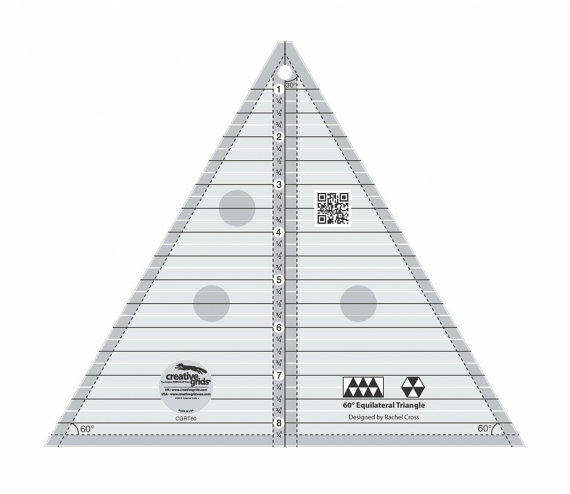 The 1/4” foot has a guide designed to help you achieve perfect 1/4” seams when piecing. The distance between the needle and the right guide is a true 1/4”. 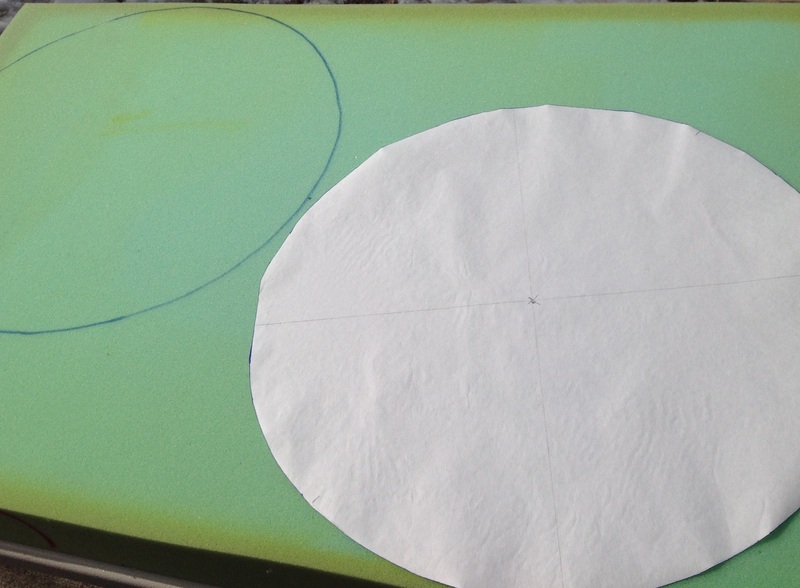 Or, stack painters tape as a reference along the plate to guide you. Don’t sacrifice quality for quantity. Slow down your pace, it’s not a race! Take your time with each block. 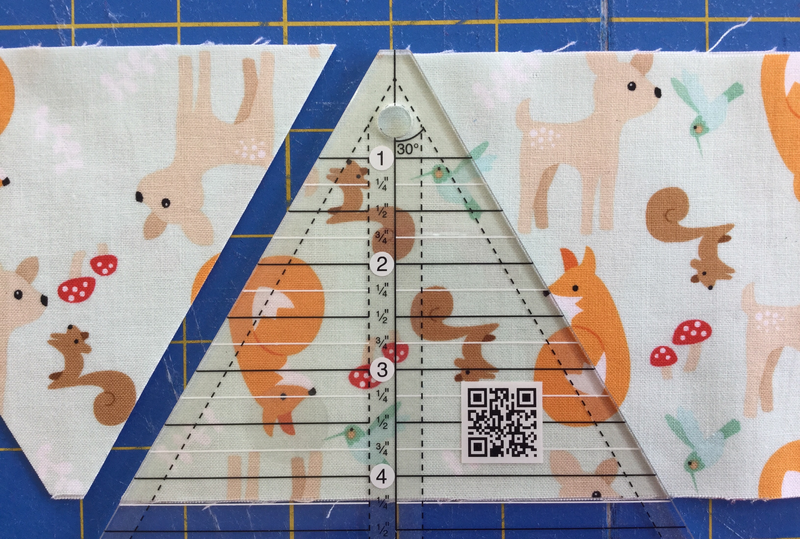 Measure your block before swapping. 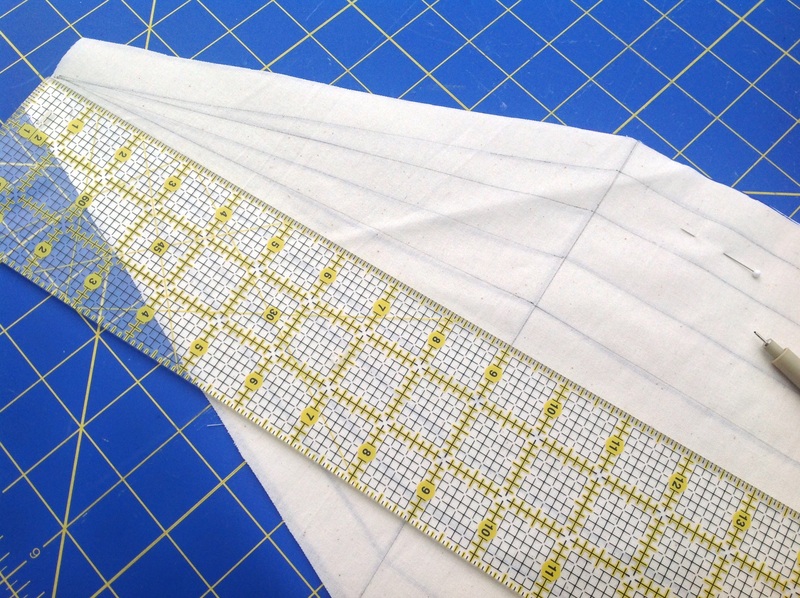 A good Sewista is most likely to be able to work with about 1/8″ of your block being off . After all, we are not perfect. 1/8 + 1/8 = 1/4″ total. 1/4 + 1/4 = 1/2″ *this is not workable. No amount of “stretching” can resolve this problem y’all! As you can see, my block is slightly off. Mostly, because I can’t seem to sew a straight line to save my life even while using my fancy pants 1/4″ foot but it is still well within an accepted allowance…within the 1/8″ allowance. 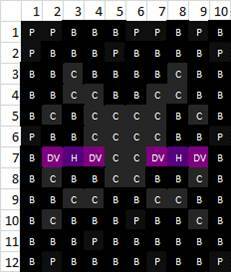 Press your work well after each addition. 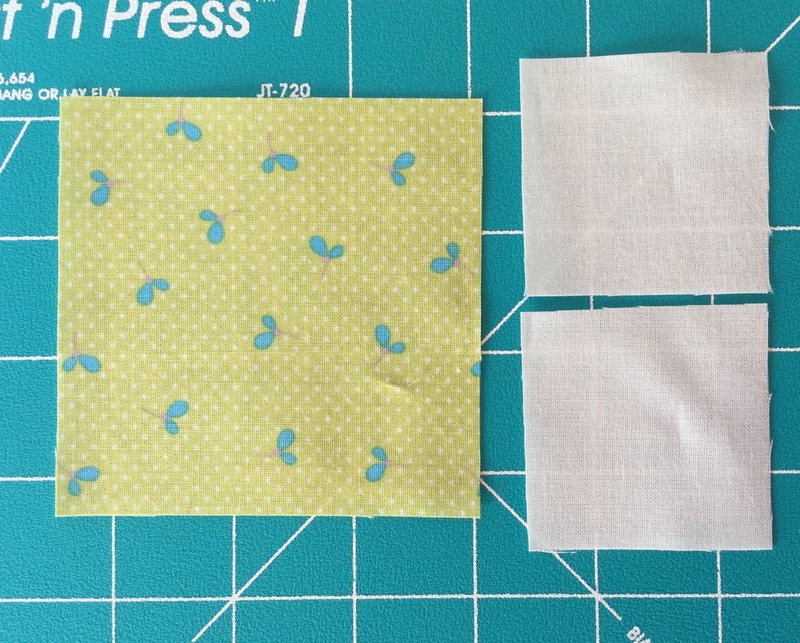 Press your seams flat, whether it be open seams or pressed to one side. Do not “iron”. This will cause stretching. 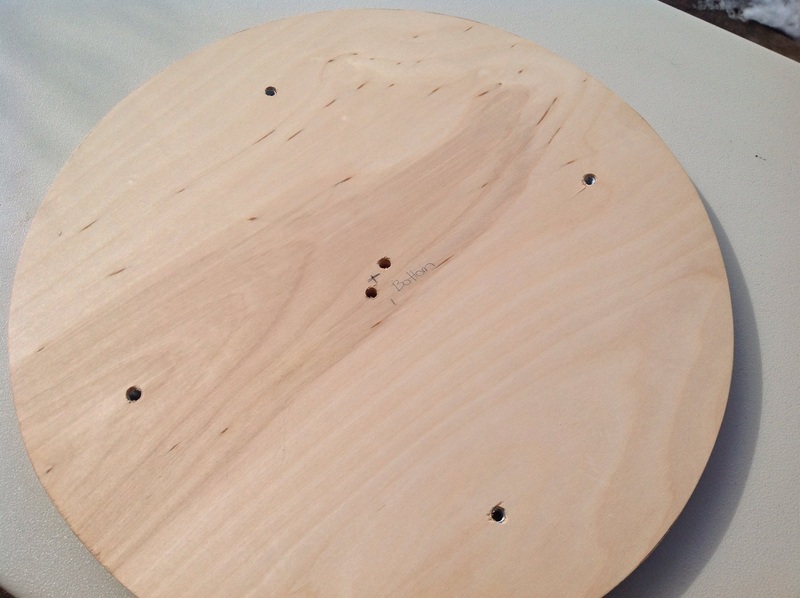 Use Best Press or other solutions to “starch” your finished project. Nothing makes me smile more than a well pressed block. It’s my finishing touch. If your block is pressed, you will be able to make an accurate determination of whether it is the correct size. One of our guild members, Trish, was kind enough to share her recipie for a homemade pressing spray if you’d like to make your own. Mix a ratio of 4 parts water with 1 part POTATO vodka. Add to a spray bottle. It’s important that it be POTATO vodka. Ask your local wine & liqueur store if they carry it. 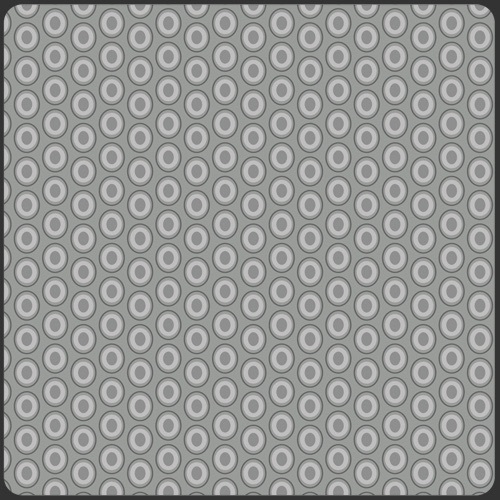 Follow the design elements required for the block swap. 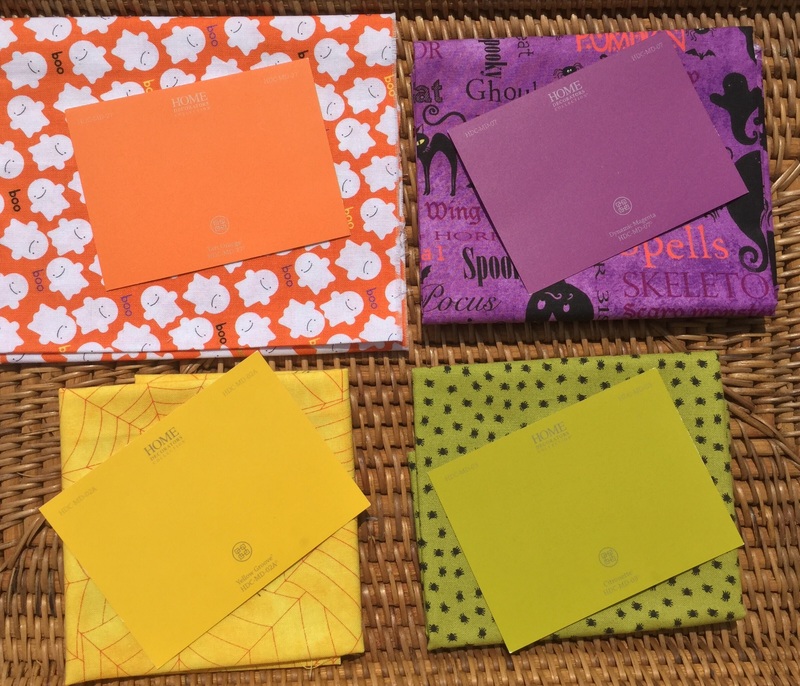 For example, if your swapping for Halloween, and your swap partner or leader asks for a certain block size or color palette, try to accommodate those requests as closely as possible. 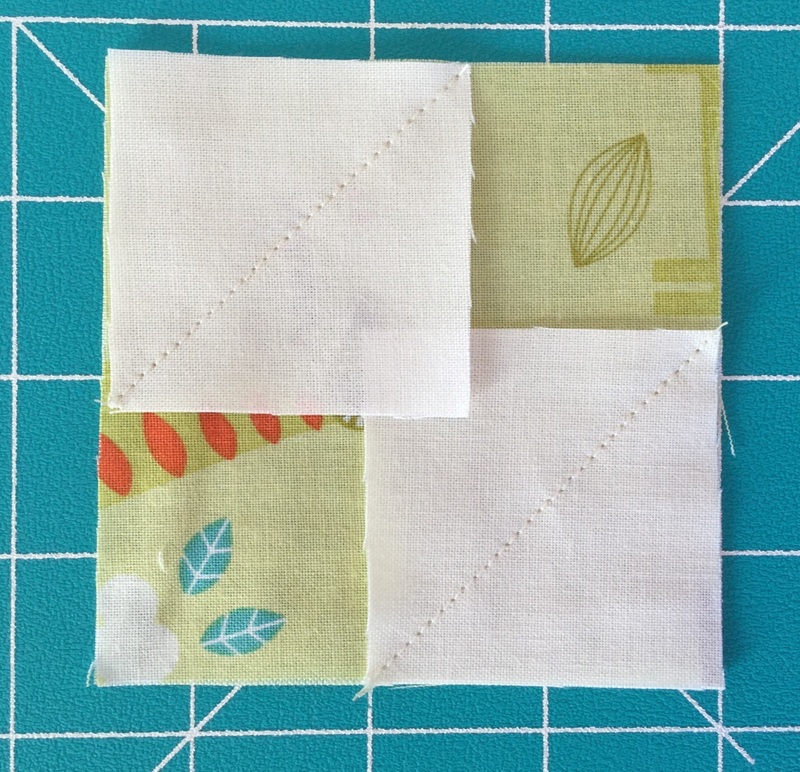 This will ensure a cohesive final quilt for whoever is making it. Don’t hesitate to ask for guidance. Like I mentioned, we are all here to learn from each other. 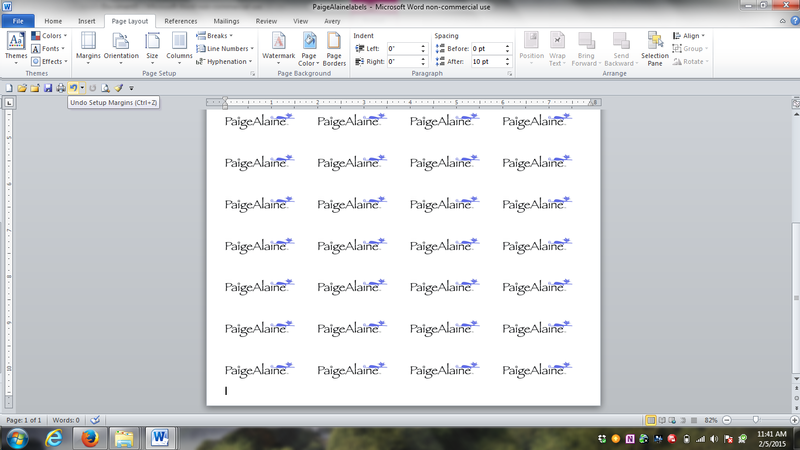 I literally need Paige to explain paper piecing every. single. time. I do it! It’s ok to ask for help. Everyone has their own level of experience and what they are skilled in. Use good judgement. Ask yourself…”Is this something I would want to receive“? Make something you don’t want to give away. Because if you love it, so will someone else. Mail your project on time. 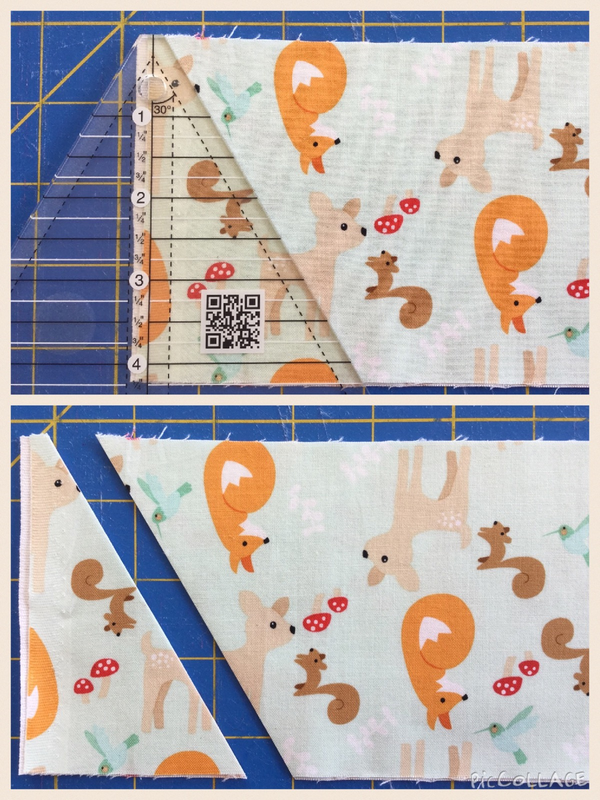 If you have joined an online swap through sites such as Flickr or Instagram, make sure to mail your project or block out in time. Your swap partner will anxiously be awaiting it’s arrival. You wouldn’t want to dissapoint her! Have fun! 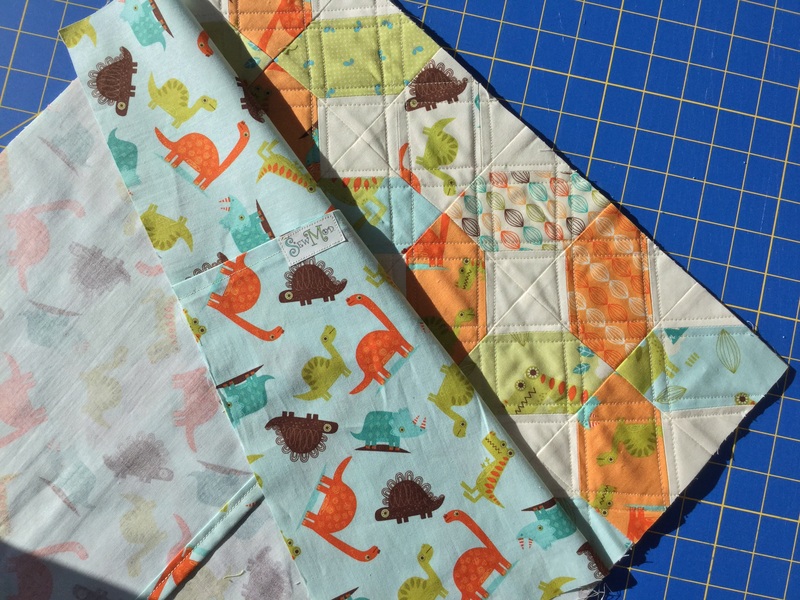 Use quilt swaps to make new friends, expand your sewing skills and be creative. But remember, the most important part, is to have fun! Elastic tie…these can be found in the hair accessory section at your local Target. They are the tiny ones. They come in all black or a multi colored selection. 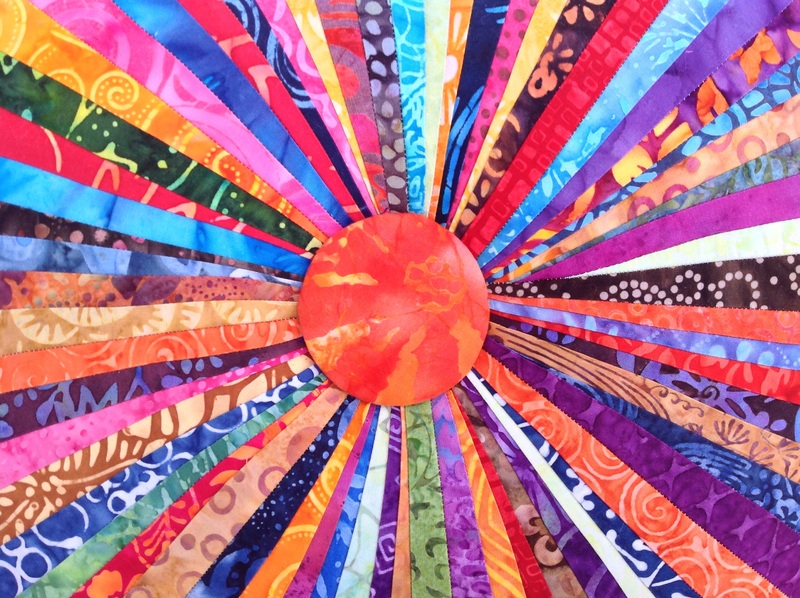 The CLMQG is going to be vending at the Spring Fiber Fling May 16th-17th in Woodstock, IL to promote the guild, raise funds and entice new members to join our fabulous group. In doing so, the members are making small handmade items to sell, such as bookmarks, pincushions, zipper bags, and…coffee cozys! Now, I know that I’ve already shown you a tutorial on these but I think it’s time to revisit the project. 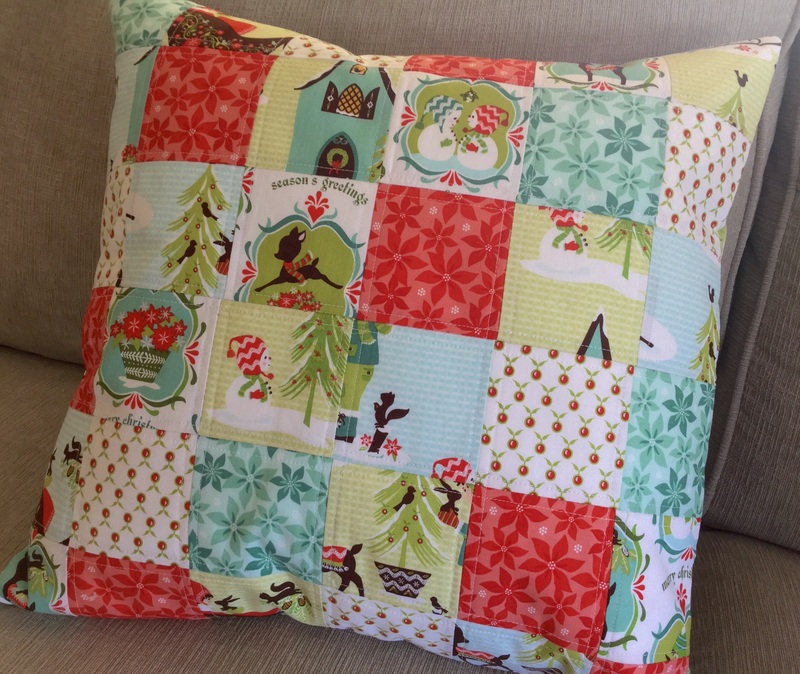 The previous one was a scrappy cozy with embroidered stitches. 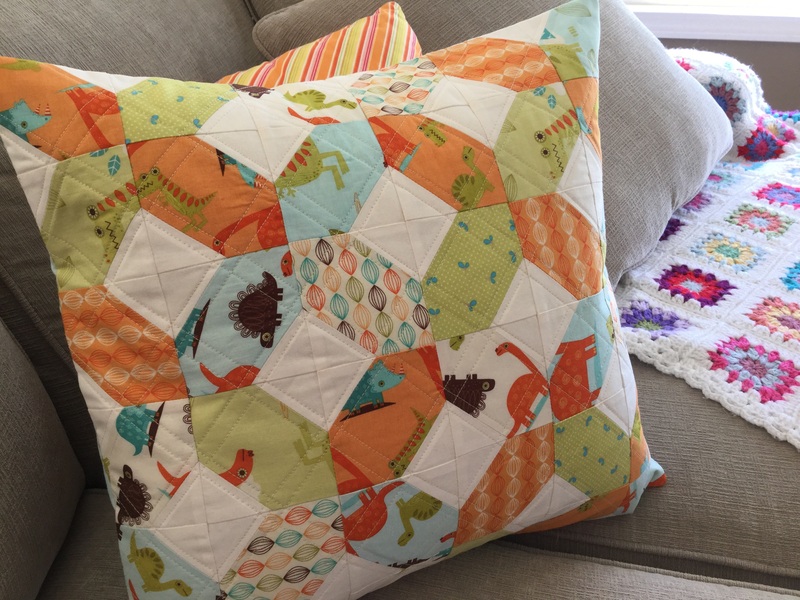 This one is your ‘not so plain Jane’ one…modern, whimsy and with just a touch of detail. These are so easy ya’ll! I made 4o of them in 2.5 days plus I wrote this little tute for you. So let’s get started, shall we? 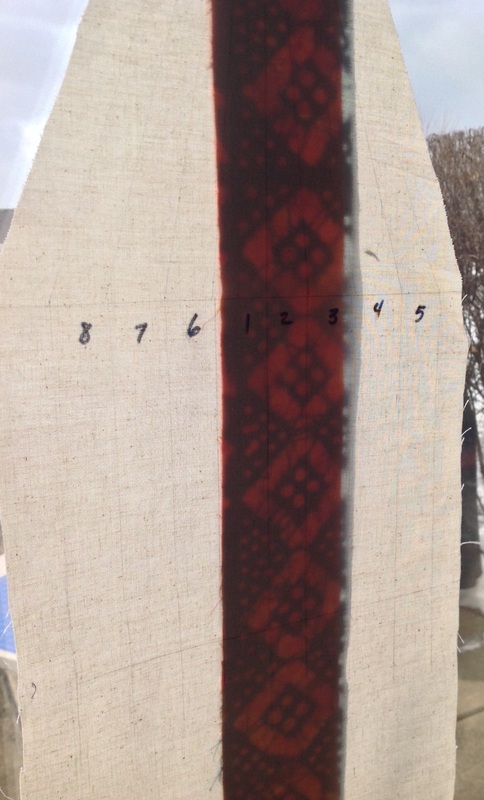 First, you’re going to print the pattern. We’ll use the previous pattern because it works just fine. You can find it here. 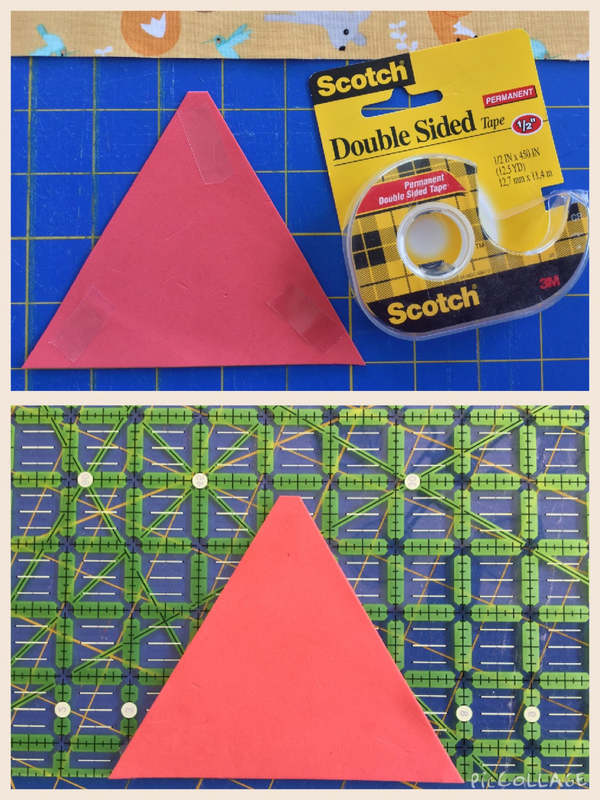 Cut the pattern out on the solid line. Dig through all of those scraps. Find something fantabulous! 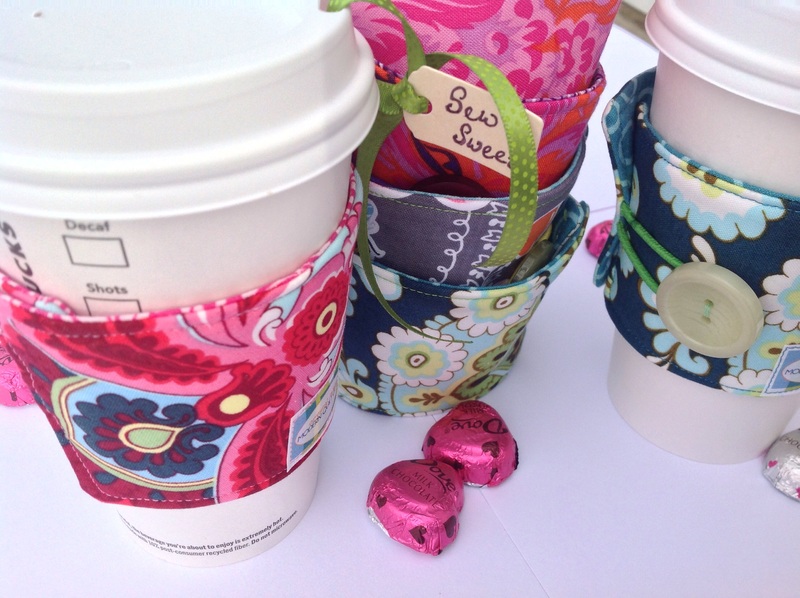 After all, you want everyone at Starbucks to be jealous that your coffee wears a ‘designer’ cozy. 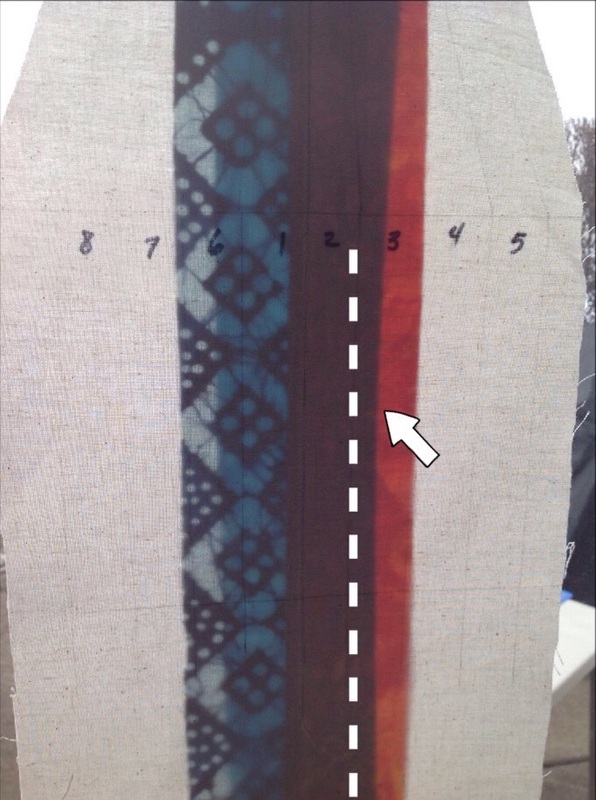 Press and layer your fabrics. 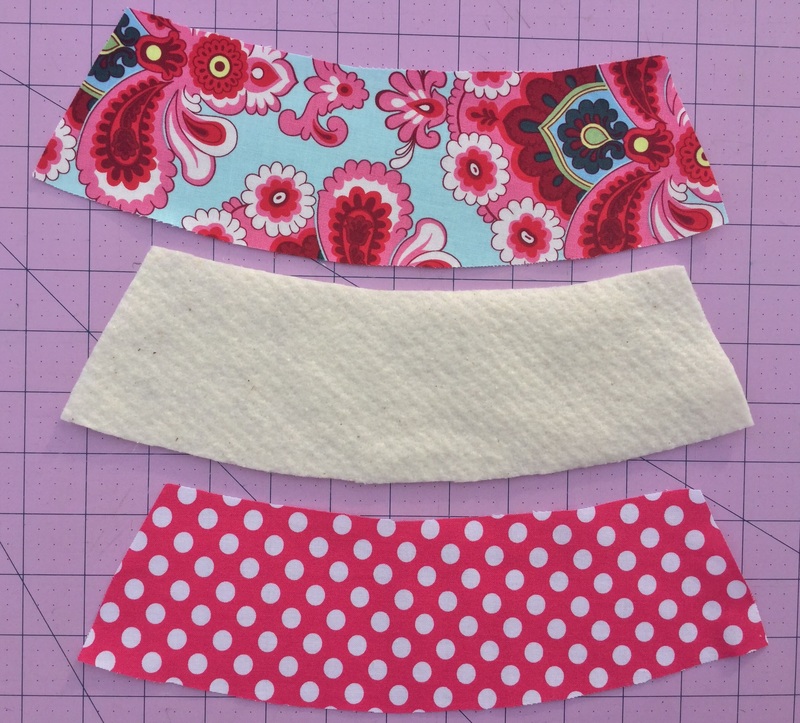 Outer fabric face up, inner fabric face down and your batting on top. 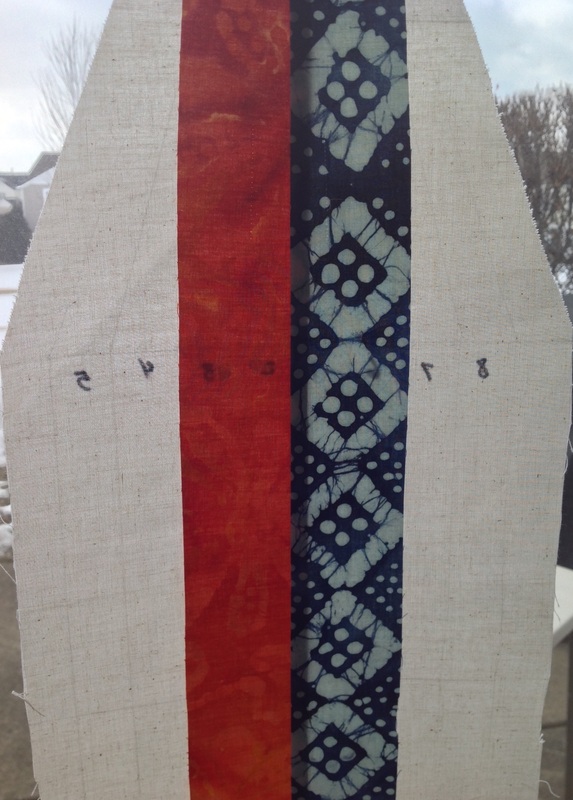 Pin your pattern on top and cut the fabrics out. See. I told you to never throw those scraps out!! Cut the elastic tie where it was fused together. Snip that part off. Some of them have a little metal piece in them and we wouldn’t want to stitch that. Cutting it also helps release the tension so that it stays in place without wiggling around. Take the cozy sandwich to your machine. 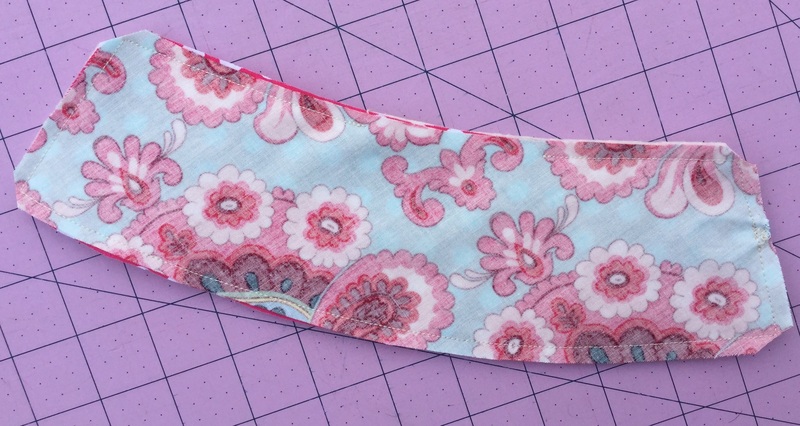 Fold your batting and inner fabric back a bit and place your elastic tie on the outer fabric with the loop facing inward. Take a few stitches to secure into place. 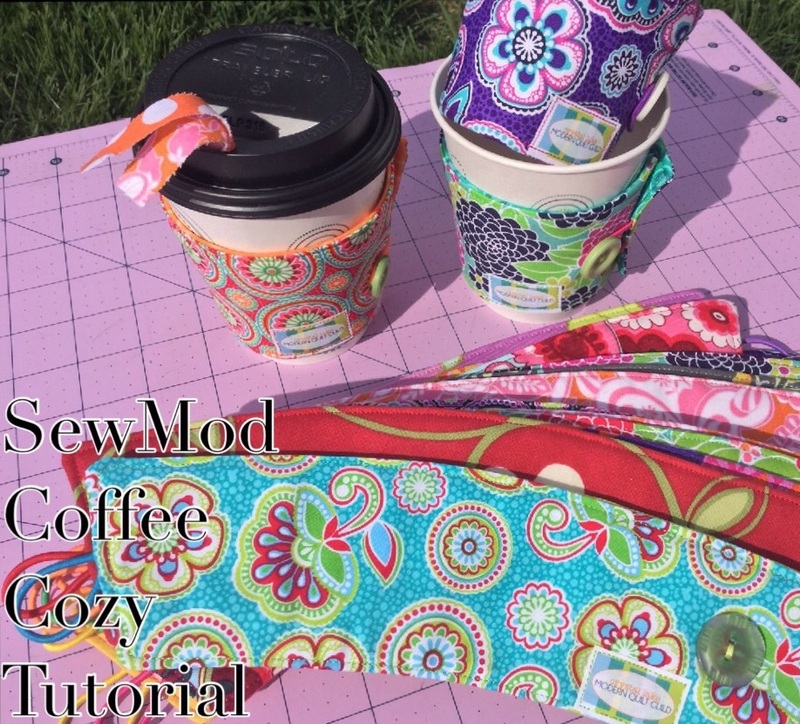 Re-layer your fabrics. 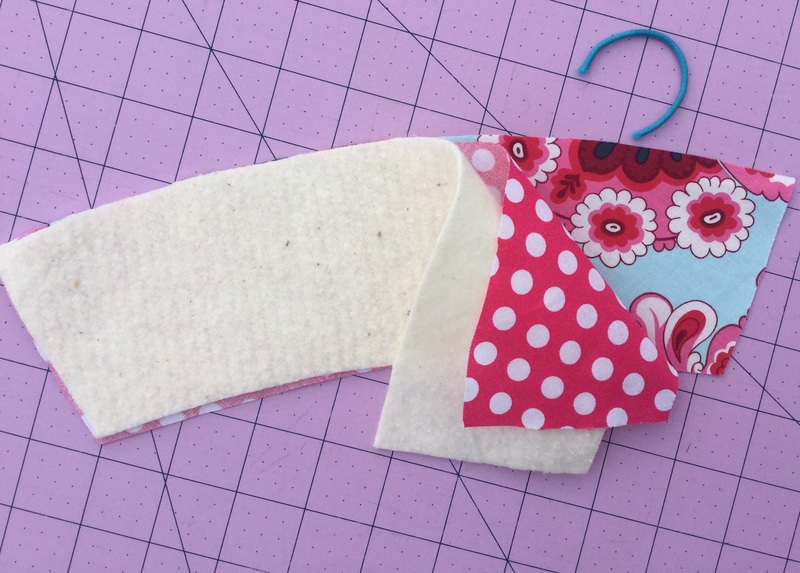 Stitch the sandwich with a scant 1/4″ all the way around the cozy, leaving about 3″ for turning right side out. 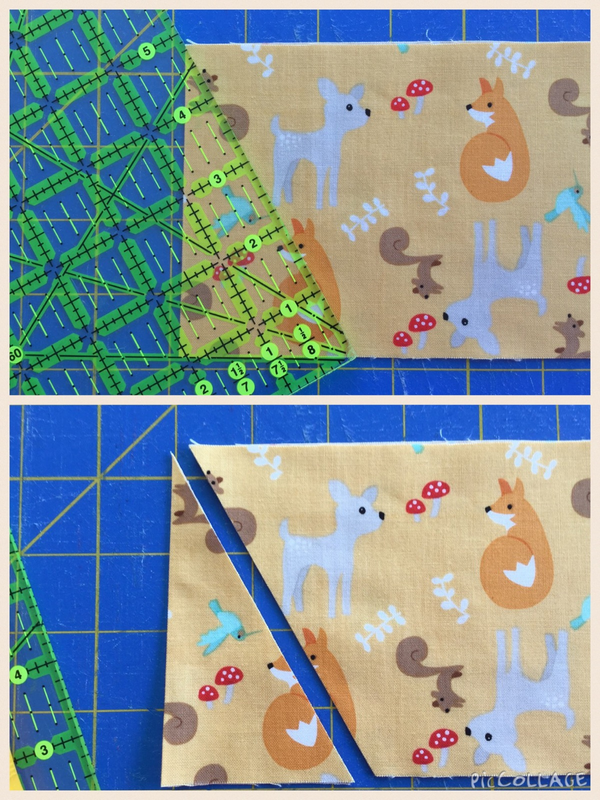 Make sure to back stitch at the beginning, over the elastic tie for stability, and again at the end. 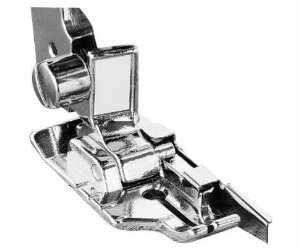 Clip your corners. Turn right side out through the opening. Push your corners out with a thingamajig and press the cozy. 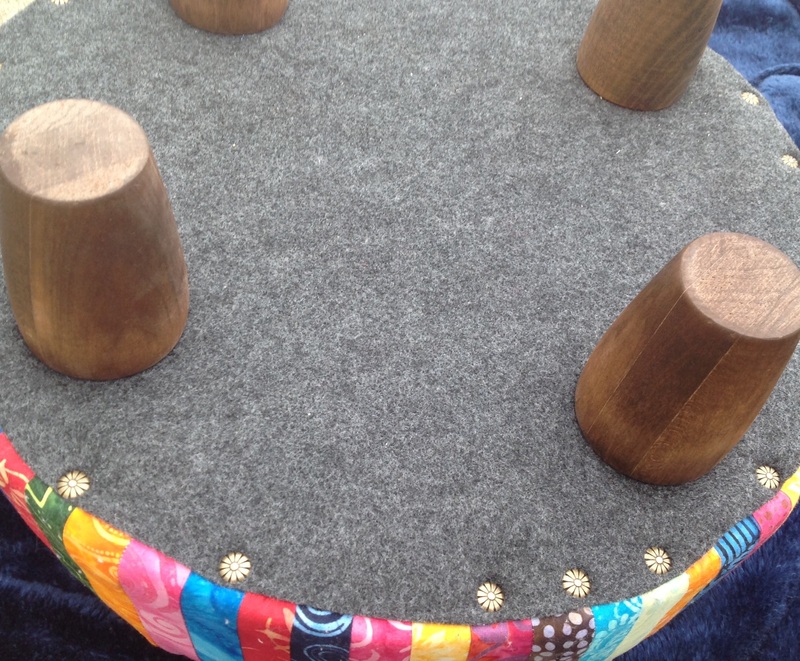 Turn the unfinished seam allowance in and top stitch close to the edge around the entire cozy. I like to top stitch using a coordinating Sulky thread. I like it. It’s shiny. If you have a label you’d like to attach, do so now. 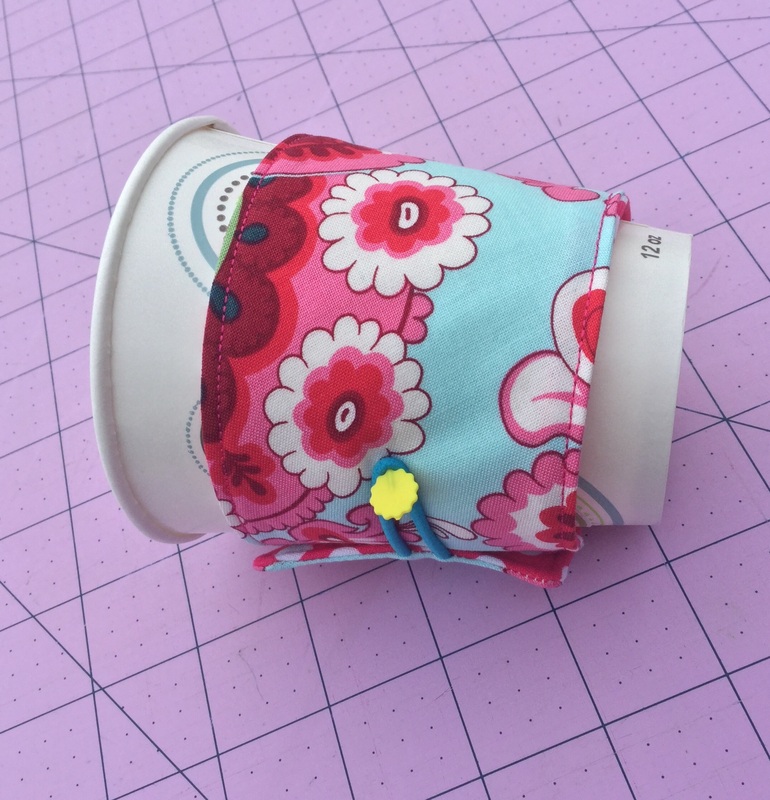 Wrap your cozy around your disposable cup to measure the placement of your button. I marked mine with a pin for the demo. Use a pencil to mark your button spot. Make it snug. Your cozy will be used over and over again. 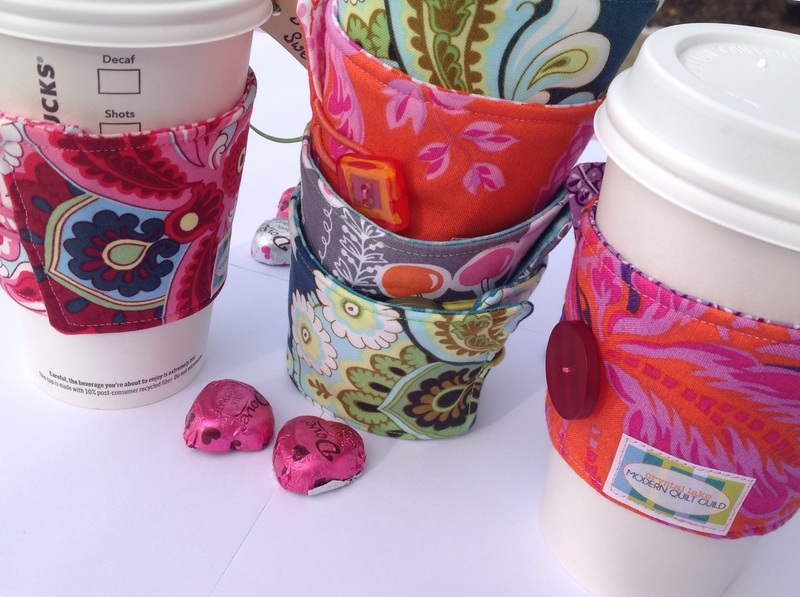 You don’t want your coffee to lose its cozy at Starbucks…A naked coffee cup? How embarrassing! 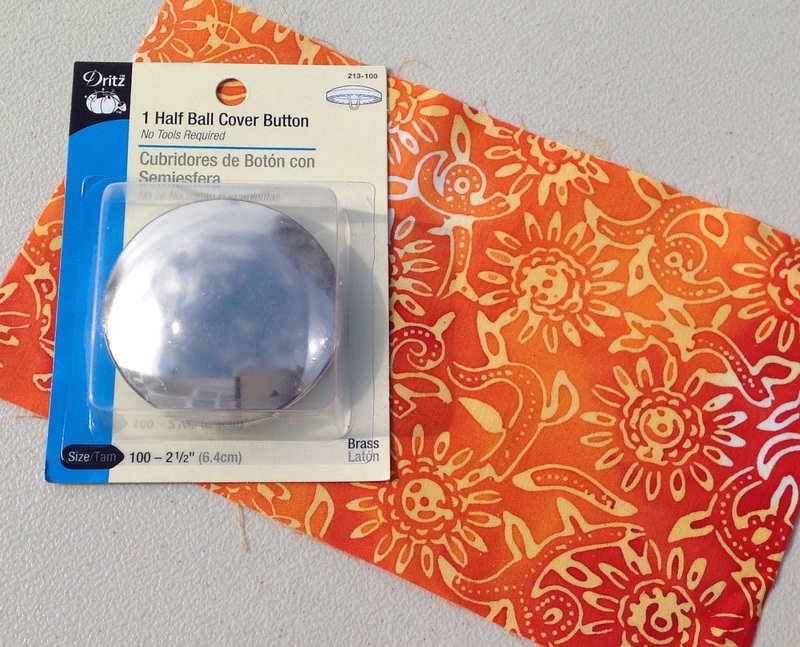 Use coordinating embroidery floss to attach your button. You’re all finished! 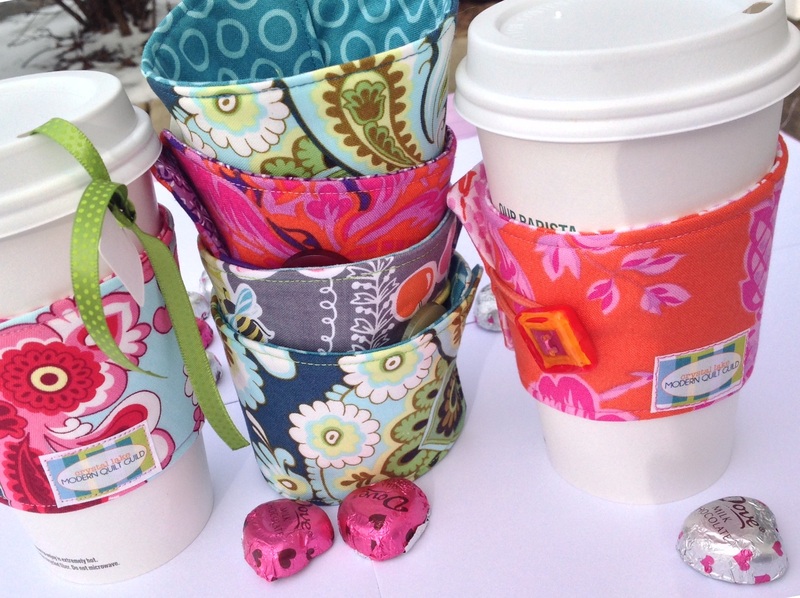 So easy and what a great gift for your friends, secret pals, or teachers. If you’re in the area, come visit our booth at the Spring Fiber Fling. We’d love to see you! 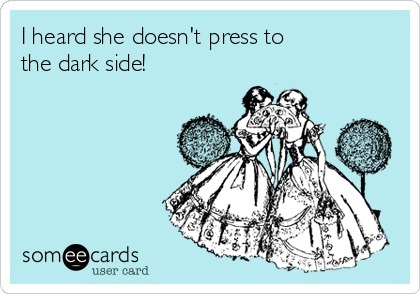 …or tea…or coffee. Whatever your favorite winter drink is, I’m sure it could use a little ‘glamming up’. 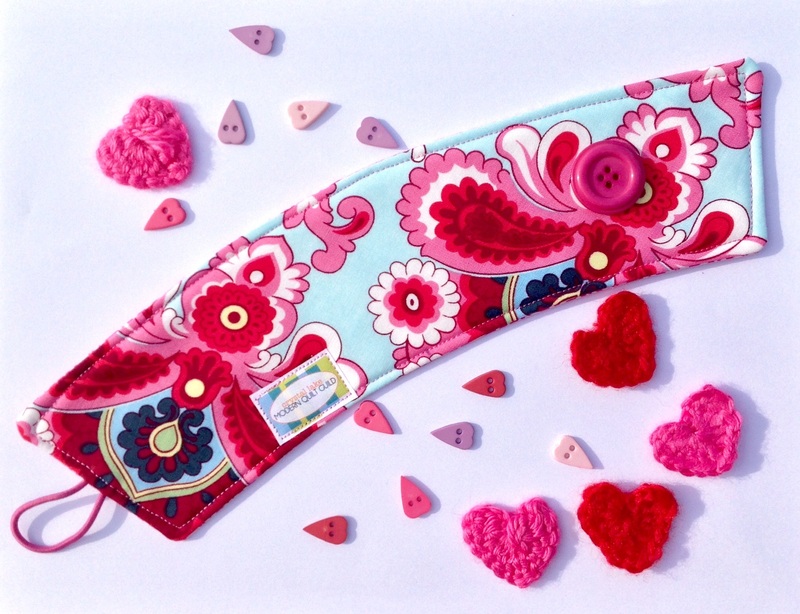 If you’d like to surprise someone this Valentines, all it takes is the pattern, 2 pieces of scraps, a piece of batting, a button, and an elastic tie. You can find the colored elastic (hair)ties at Target. They’re the tiny, skinny ones in the girls section where the barrettes are found. Follow the directions on the ‘Handmade Holidays‘ blog post found here. I eliminated the patchwork and embroidery this time. I simplified. 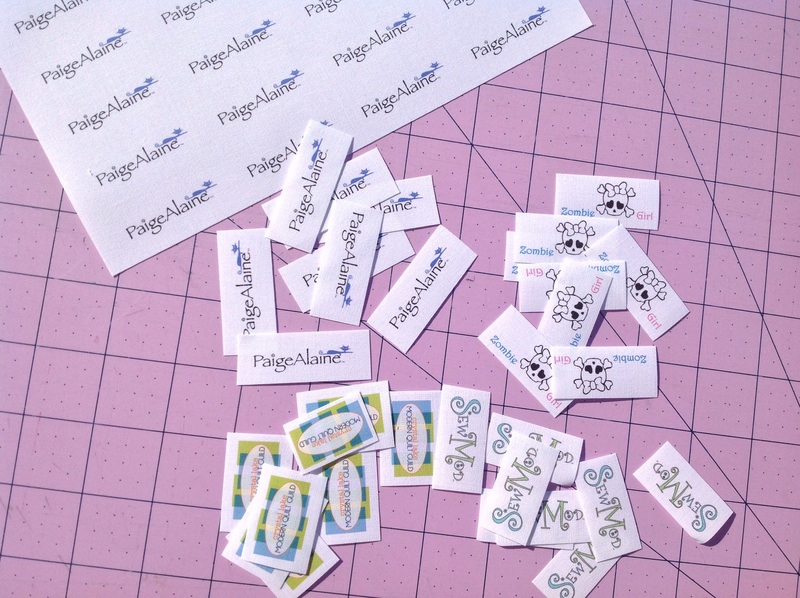 Finish up with your handmade fabric labels for a personal touch. 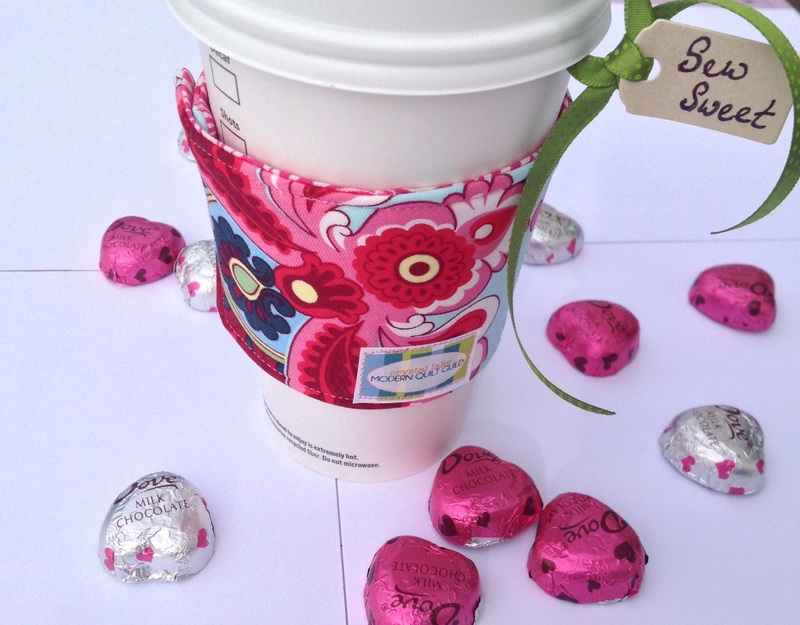 Grab a gift card from Starbucks and toss some candy hearts inside your disposable cup! Yes. Starbucks will give you a free, unused cup if you ask sweetly! A quick tutorial on how I made my own labels in Microsoft Word. 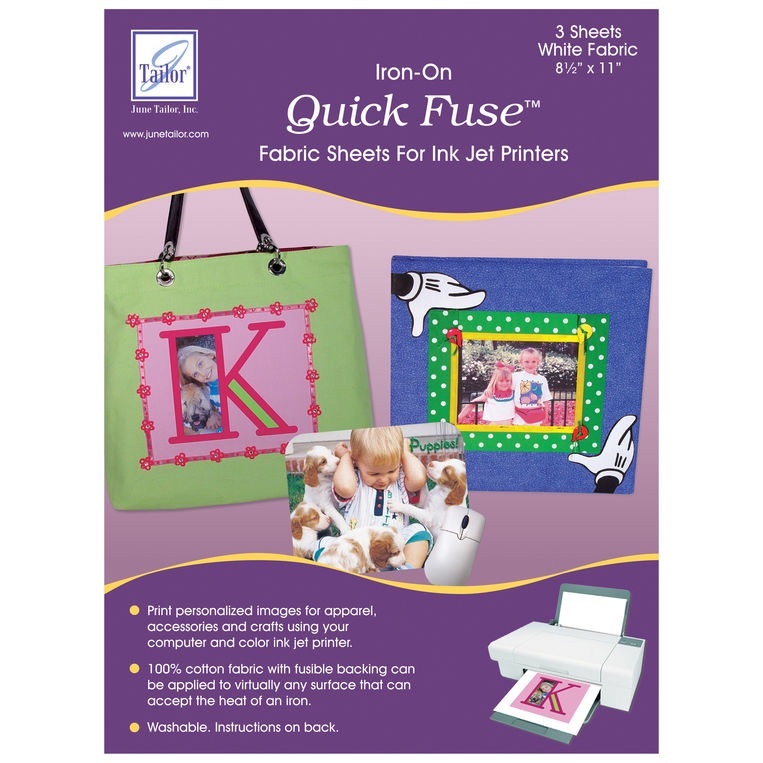 To create my fabric labels, I purchased the June Tailor Iron On Quick Fuse Fabric Sheets For Ink Jet Printers in white from Jo-Ann’s. 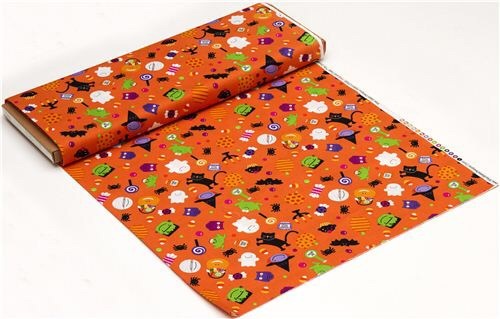 This package came with three sheets @ $9.99. May seem a bit pricey but I used a coupon. And after everything was said and done, they ended up just costing around .07 cents apiece. Not bad if you ask me! From the Page Layout tab set your margins. Adjust the margins by clicking on custom margins at the bottom of the drop down menu and adjust the settings to .2 with the up/down arrows for the left, right, top & bottom. If needed, this can be adjusted later also. And/Or choose a high resolution image to add from the Insert tab. This can be done one of two ways…To insert a picture, click on the Insert Tab on the header bar and click Picture. Choose a picture from your files. Or you can add a picture to word by copying a picture from your photos and pasting into the Word document. To do so, go to your photos, right click the desired photo, choose copy. Go back to your Word document and right click in the space, choose paste. Adjust the size of your image by right clicking on the image and use the arrows to determine the height and width. Most of my labels were between the .5″ (height) & 2″ (width) range. This label is .37″ x 1.5″. Once you have the dimensions that you like, right click to copy. Click off and next to the image, tab and paste the image to fill the row. Making sure you leave enough room to cut the labels out after they’re completed. 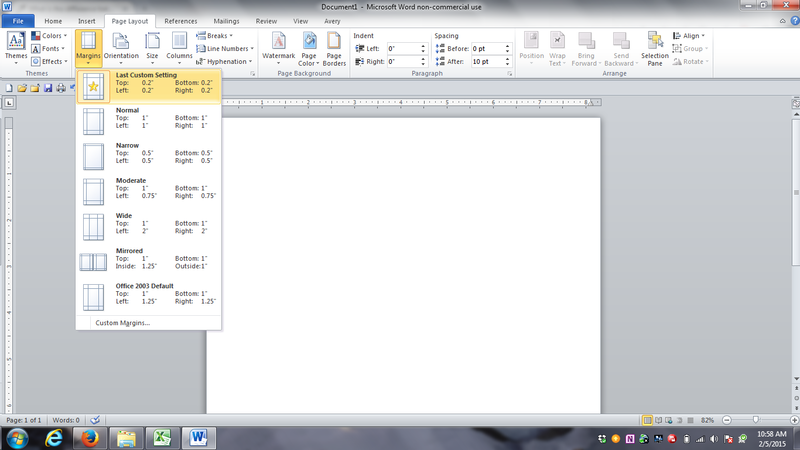 To make life a little easier, highlight the the row. 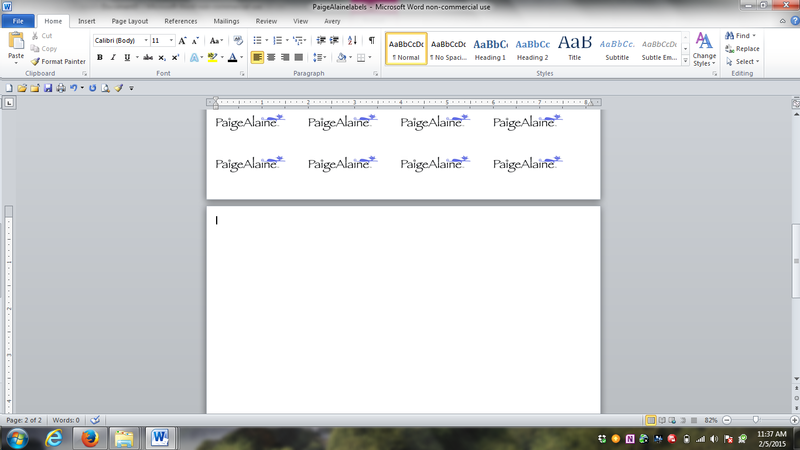 Copy and paste the row to fill the page. 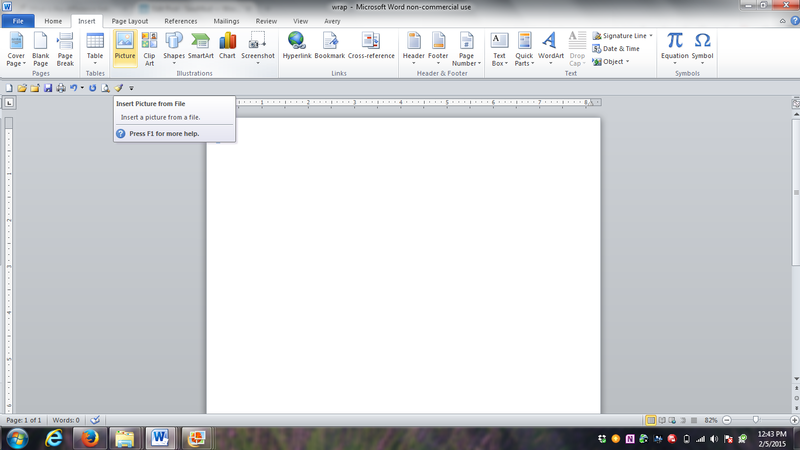 If you happen to end up with an extra page attached to your label page you just created, simply click on the blank page and hit the delete button on your keyboard to remove it. 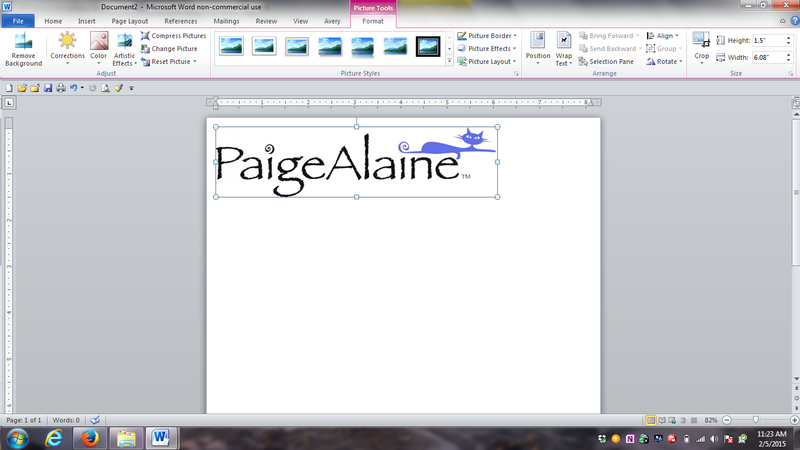 We don’t want to end up printing blank pages attached to our label pages. 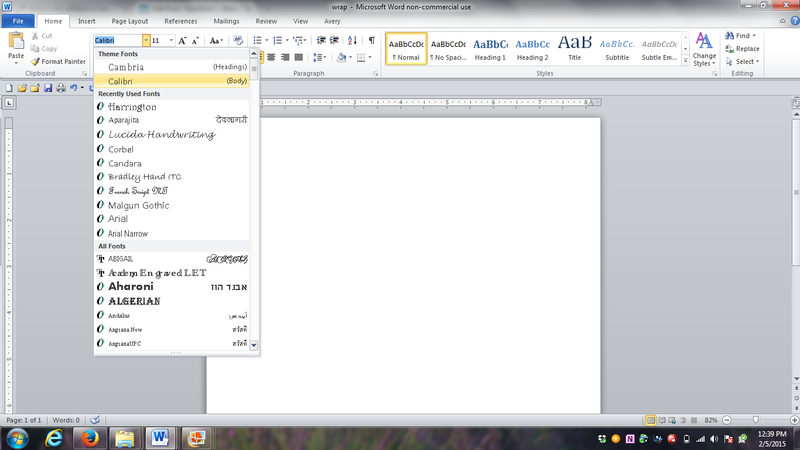 Save your document. 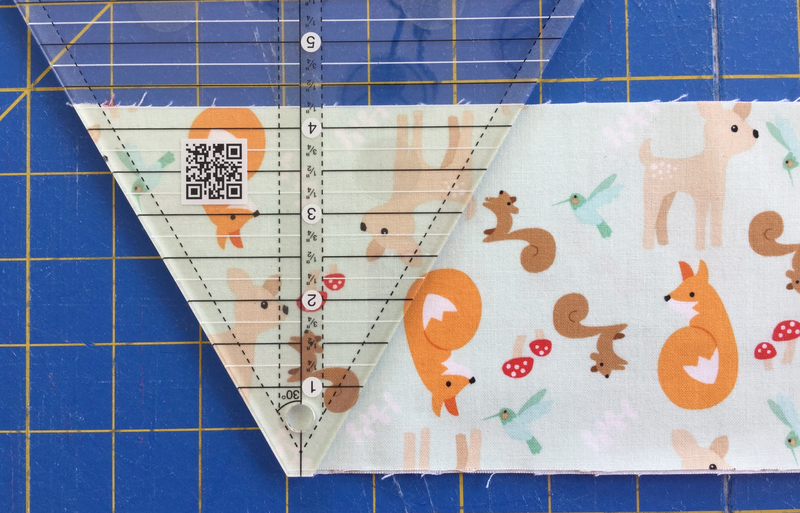 Print a sheet on regular paper to make sure that your sizing and spacing is exactly how you like it before inserting a sheet of the label paper. Make any necessary changes . Only print one sheet at a time! Let dry a bit..a few minutes. 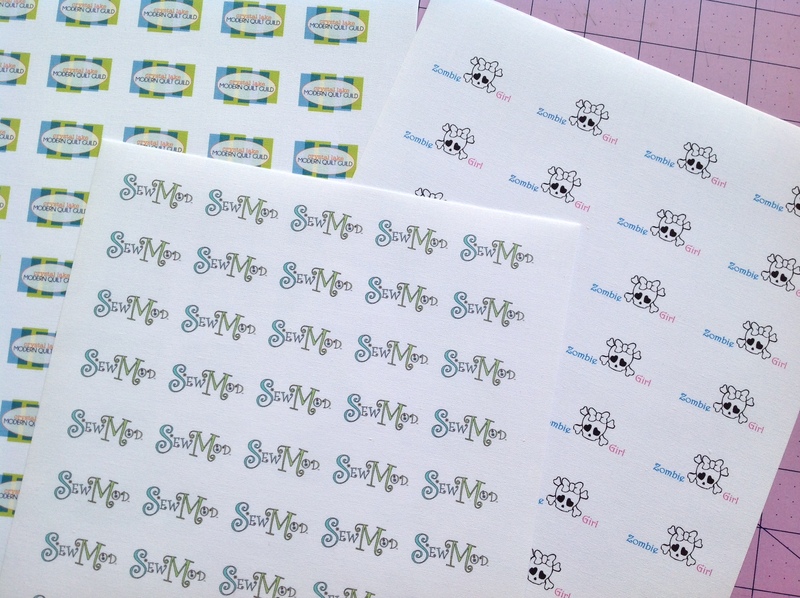 Cut your labels apart using scissors or a ruler & rotary cutter and do a happy dance because you just saved yourself some $$ and made some cute labels! Now go make something fabulous and put your name on it!